VANCOUVER, BC--(Marketwired - May 05, 2015) - Turquoise Hill Resources will announce its first quarter financial results on Monday, May 11, 2015 after markets close in North America. Ulaanbaatar, May 5 (MONTSAME) The working group led by L.Erdenechimeg MP reported the results of their speculation on the draft resolution on Tavan Tolgoi mine development on May 5. Following conditions were detected while acquainting with 2014 financial statements of "Energy Resource" and its parent company, according to the MP. Power plant, coal washing plant, water reservoir, procurement and the cash under the Energy Resource LLC is under loan collateral at international banking institutions such as EBDR, FMO, DEG, BNP PAribas and TDB of Mongolia, worth USD 570 million, the assets that are considered as part of the USD 1 billion investments planned at Tavan Tolgoi mine development. Moreover, the shares of the "Mongolian Coal Corporation" (Luxemburg), "Mongolian Coal Corporation" Ltd (HK) owners of the Energy Resource LLC are under bond collateral worth USD 600 million of the parent company "Mongoliаn Mining Corporation" (Cayman Island), she said. One of the owners of Energy Resource LLC Energy Resource Corporation LLC and other related bodies such as Energy Resource Mining LLC and Trans Gobi LLC act as the financial guarantor for the bond payment. Energy Resource LLC, Energy Resource Corporation LLC, "Mongolian Coal Corporation" S.a.r.l (Luxemburg), "Mongolian Coal Corporation" Ltd (HK), "Mongolian Mining Corporation" (Cayman Island) all owning debts imposes the risks. Therefore, she said, working group concluded that those companies have to be assessed on their financial and legal performances on their operation for the last three years. Financial and legal analyses have to be conducted by internationally recognized consulting companies. "An official letter was sent to the Government and our working group is waiting for the reply," said Erdenechimeg. May 6 -- Mongolian metallurgical coal explorer, Aspire Mining Limited (ASX: AKM, the "Company" or "Aspire"), is pleased to announce that its 50% owned Ekhgoviin Chuluu Joint Venture ("ECJV") with the Noble Group (SGX: N21) has increased its interest in the Nuurstei Coking Coal Project ("Nuurstei") from 60% to 90%. The cash consideration payable is US$201,500 and will be paid by the ECJV. The Mongolian vendor's interest will dilute to 10% of Nuurstei. A further US$200,000 is payable should a Mining License be granted in respect the Nuurstei Exploration licenses. Aspire has recently announced a coal geology report for Nuurstei, which was independently prepared by McElroy Bryan Geological Services for the ECJV, which highlighted an Exploration Target between approximately 15mt (at 0.5m coal thickness cutoff, rounded) to approximately 25mt (at 0.1m coal thickness cutoff, rounded), down to 160m depth (refer ASX Announcement dated 20 March 2015 for the full detail). Aspire has also recently agreed with the Noble Group, a Binding Term Sheet (refer ASX Announcements dated 16 March 2015 and 29 April 2015) which, inter alia, covers the provision of 100% of the marketing and supply chain rights with respect to the Nuurstei project by the Noble Group, and a 12 month option for Aspire to acquire Noble's 50% interest in the ECJV, which if exercised would increase Aspire's attributable interest in Nuurstei to 90%. Nuurstei is located approximately 10 kilometres to the south west of Moron, the capital of the Khuvsgul province in northern Mongolia. A paved road has been constructed between Moron and the town of Erdenet, where existing rail infrastructure terminates. Coal produced at the Nuurstei project could potentially be transported along this road to Erdenet where product could then be loaded onto trains and delivered to customers. With the potential future development of the Erdenet – Ovoot railway, a lower cost and higher capacity transport route will become available from 2018 subject to rail construction commencing in 2015. • OUDDH029 intersects 98m @ 0.4% Cu & 0.65 g/t Au (0.81% CuEq) from 73m. • OUDDH030 intersects 40.1m @ 1% Cu & 0.26 g/t Au (1.17% CuEq), including 18m 1.76% Cu & 0.40 g/t Au (2.02% CuEq) from 22.1m. • Drilling intercepts the low-grade outer halo of a new porphyry centre at Temee Prospect. • Detailed geophysics continues to identify numerous target areas which host a spectrum of porphyry-related copper-gold stockwork, tourmaline breccia and magnetite skarn mineralisation. May 5 -- Xanadu Mines Ltd (ASX: XAM – "Xanadu") is pleased to announce final assay results and analysis from the recently completed Oyut Ulaan diamond drill program. Drilling extended known near-surface high-grade mineralisation at Diorite Hill, discovered shallow high-grade skarn mineralisation at Hulan and discovered new porphyry center at Temee. Xanadu's 90% owned Oyut Ulaan copper-gold project is located within the Dornogovi Province of southern Mongolia, approximately 420km southeast of Ulaanbaatar. It is strategically located within the South Gobi Copper Belt (which hosts the world class Oyu Tolgoi copper-gold project) and 260km east of Xanadu's flagship Kharmagtai copper-gold project (Figure 1). Oyut Ulaan is a large and underexplored porphyry district (covering approximately 40km2) and consists of multiple co-genetic porphyry copper-gold centres, mineralised tourmaline breccia pipes and copper-gold/base metal magnetite skarns, which occur within the central part of Mining Licence 17129A (Oyut Ulaan; Figure 2). Xanadu's Chief Executive Officer, Dr. Andrew Stewart, said, "This successful program has delivered good results from several different prospects with a spectrum of mineralisation styles, any combination of which could possibly transform Oyut Ulaan into a significant mining camp. The area defined by the current shallow and widely spaced drilling and number of prospects with exciting geology is relatively large and the recent exploration program will also assist in our search for the engine-room of this large well mineralised porphyry district." Ulaanbaatar, May 5 (MONTSAME) The cabinet at its session on May 4 allowed G.Olziiburen, the chairman of the Petroleum Authority of Mongolia (PAM), to gradually transfer the rights and duties of Central Asian Petroleum Corporation LLC before its product-sharing agreement with the PAM at oil exploration sites -"Bogd-IV" and "Ongi-V", to BG Mongolia Holdings Limited Company. The product-sharing agreement was approved by the Cabinet in July of 2009. Since then, the company has made investments of 19 million USD , of which 17 million was dedicated to the explorations and two million –for payments to the Government according to the agreement. Although, additional explorations and researches were required on the sites, it has become very difficult to draw more investments, due to a decline in the world economy. As the Law on Petroleum was renewed in 2014, the Government concluded a Farm Out agreement with BG Group of the UK, as a result of series of discussions with interested investors and oil giants including the BG Group, Chevron and Anadarko. The agreement sets out that an investment of 28 million USD will be made, of which 13.6 million in 2015 and 13.0 million in 2016 will be dedicated to the explorations and 1.4 million USD will be paid to the Government. BG Mongolia Holdings Limited will bear 78 percent of responsibilities before the previous product-sharing agreement, and Central Asian Petroleum Corporation LLC–22 percent. The latter will hold full responsibility to conduct unconventional exploration and operations at the sites. May 6 -- Guildford Coal Ltd ("Guildford Coal" or the "Company") (ASX: GUF) is pleased to announce the appointment of Australian mining engineer, David Stone, to its Board of Directors effective today. Announcing the appointment, Guildford Coal's Managing Director, Michael Avery, said Mr Stone had unparalleled expertise in operating resource businesses. "David Stone has been a highly successful leader in mining businesses for global corporations for over 20 years. His impressive career in operating resource businesses includes roles in Senior Management, Project Development and Operations. "He has repeatedly demonstrated transformational ability within these businesses with a strong focus of creating shareholder value and has operated successfully across diverse geographical locations and environments," Mr Avery said. David Stone has a Bachelor of Mining Engineering, Diploma in Risk Management and a diploma from the Australian Institute of Company Directors. He has progressed through the mining industry performing most roles within a business including, operations, technical and management. This is in conjunction with being appointed to numerous government and industry committees and boards. He also holds a Mine Managers, Senior Site Executive and statutory qualifications. Mr Avery said, "As Guildford Coal continues to ramp up coal production at our Mongolian mine, David Stone's extensive mining experience will be a welcome addition to the Board." Ulaanbaatar, May 7 (MONTSAME) At the Stock Exchange trades on Thursday, a total of 16 thousand and 744 units of 14 JSCs were traded costing MNT 30 million 481 thousand and 697.00. "Merex" /nine thousand and 585 units/, "APU" /five thousand and 634 units/, "Remikon" /889 units/, "Bayalag Nalaikh" /401 units/ and "Suu" /66 units/ were the most actively traded in terms of trading volume, in terms of trading value were "APU" (MNT 19 million 691 thousand and 615), "Suu" (MNT six million and 600 thousand), "Merex" (MNT 853 thousand and 575), "Gazar Suljmel" (MNT 385 thousand and 680), and "Gobi" (MNT 376 thousand and 250). The total market capitalization was set at MNT one trillion 283 billion 039 million 328 thousand and 031. The Index of Top-20 JSCs was 13,011.15, decreasing 0.39% and the all index of MSE was 949.36, decreasing 0.16% against the previous day. 10. Coupon payment of long-term government retail bonds will be paid on 2015.08.15, 2016.02.15, 2016.08.15, 2017.02.15, 2017.08.15, 2018.02.15, 2018.05.12. 11. Rate of interest: interest rate of the Government Securities, which will be issued weekly, will be based on auction results of Central Bank basis State Government Securities weighted average interest rate. If the Central Bank's weekly trading cancelled, the interest rate will be set based on the previous trading of Government Securities weighted average interest rate. 12. Order deadline: The Mongolian Stock Exchange will take orders 6 days and the trading will close on the 6th day at 14.00 PM and information on total orders will be delivered to the securities issuer. 13. Trading period: Total registered orders distribution of MSE trading system will be determined based on the Ministry of Finance votes. May 5 (MSE) On 5 May 2015, 12 weeks Government retail bonds worth MNT3,052,300,000.00 with 14.967% annual interest rate were traded successfully on primary market at Mongolian Stock Exchange. May 6 (MSE) Board of directors meeting of MSE on April 30th 2014 made decision to reduce the transaction fee on equities trading. By ratifying this decision transaction fee on equities trading will be reduced to 0.15% from 0.4%. Main purposes of implementing this action due to current market situation are to reduce the investment costs and support the professional participants. This change regarding the transaction fee to be reflected on Securities trading rule of Mongolian stock exchange and will be effective when Financial regulatory commission ratifies. May 7 (gogo.mn) FRC is to make an announcement on Regulatory Services fees decrease. FRC is taking measures on decreasing the pressure on the professional participants of the financial market. In view of these efforts FRC is to held a press meeting to announce some of the changes in the fees for the financial services. Meeting will be held today at FRC building room 207 at 1PM. May 4 (MSE) Mongolian Stock Exchange organized 22 securities trading sessions and made transaction of MNT55.5 billion between 01 April 2015 and 30 April 2015. 553.8 thousand shares of 65 joint stock companies worth of MNT298.9 million were traded. 570,152 Government retail bonds worth of MNT55.1 billion were traded through 4 trading sessions. 55 Government retail bonds worth MNT5.4 million were traded on secondary market trading. Out of 65 traded stocks, share price of 12 JSC increased, 36 decreased and 17 remained at same price compared to the same period of last month. As of April 2015, market capitalization was MNT1.281 trillion which indicated decrease of 2.25% and MSE ALL index decreased 0.66% to 951.97 from Last month. MSE ALL index maximum was 977.62, minimum was 940.49 and average was 956.55. May 7 (Bloomberg) -- Mongolia sold 50% of a 30b tugrik ($15.4m) 3-year govt bond issue at auction on Wednesday, according to central bank statement. May 5 (Bank of Mongolia) On the Foreign Exchange Auction held on May 5th, 2015 the BOM has received selling bid offers of USD 1.2 million in a rate between MNT 1958.00-1963.00 from local commercial banks. BOM has not accepted the offer. On May 5th, 2015, The BOM has received USD Swap agreement bid offer in equivalent to USD 70.0 and MNT Swap agreement bid offer of USD 7.5 million from local commercial banks and accepted the offer. May 7 (Bank of Mongolia) On the Foreign Exchange Auction held on May 7th, 2015 the BOM has received selling bid offers of USD 5.5 million in a rate between MNT 1949.80-1952.00 from local commercial banks. BOM has not accepted the offer. On May 7th, 2015, The BOM has received USD Swap agreement bid offer in equivalent to USD 8.0 and MNT Swap agreement bid offer of USD 2.0 million from local commercial banks and the BOM has accepted the offer. May 7 (gogo.mn) As the first week of May 2015 comes to an end, National Statistics Office reported the average prices for main food items. Average price for mutton with bones is at MNT 7,585, beef with bones at MNT 7,950. Price for beef with bones were stable compared with the previous week, while prices for beef were increased by MNT 165. Price for mutton with bones were increased by MNT 95 compared with the previous week, while prices for mutton were increased by MNT 40. Prices for Chinese onion were decreased by MNT 10 and prices for Mongolian potato were increased by MNT 65 and prices for carrot were increased by MNT 55 and prices for cabbage were increased by MNT 35 compared with the previous week. May 5 (news.mn) The nationwide delivery of young animals was 15.2 million, reaching only 70.8 percent of expected delivery. As reported by the Ministry of Agriculture, the births were 36,600 camels, 206,800 foals, 528,300 calves, 7,519,700 lambs, and 6,586,000 goats. The number of newborn livestock grew by two million in one week. Bayan-Ulgii and Khovd provinces have seen more than 80 percent of their expected births; Arkhangai, Bayankhongor, Bulgan, Gobi-Altai, Gobi-Sumber, Darkhan-uul, Uvurkhangai, Selenge, and Uvs provinces are at more than 70 percent of expected figures. May 6 (news.mn) Now is the crucial period for the combing of wool and cashmere. The producers of cashmere and wool have stressed that this year the price for cashmere has been set at a lower level in comparison with previous years. In Mongolia there are 22 million goats, and according to the calculations of professional unions and associations, in 2015 there are plans to prepare 7,600 tons of cashmere with a value of more than 400 billion MNT. These figures reflect a 10 percent increase from 2014, but last year the price for 1 kg of cashmere was 70 to 75 thousand MNT, while this year it is 35 to 66 thousand MNT. The biggest export market for Mongolian cashmere is China, purchasing 70 percent of the nation's prepared cashmere. However, this year surplus cashmere at Chinese factories is high in comparison with previous years, and the Chinese government is following a policy to support its domestic cashmere producers. May 7 (news.mn) Head of the General Police Department R.Chinggis and Head of the General Taxation Authority B.Ariunsan participated in the Prime Minister's weekly broadcast "Hour of Solutions". As the number of companies with taxation payment delays and tax evasion cases are increasing, the broadcast focused on this issue. Since 2012, 254 cases of tax evasion were registered at the General Police Authority, of which 107 cases were resolved with penalties and 91 cases were dismissed. Presently, there are 29 cases are under investigation, involving 548 enterprises. Losses of 62 billion MNT have been incurred from these cases, and so far, 18 billion MNT has been repaid and assets of 234 million MNT have been frozen. Three thousand out of 4,211 enterprises have avoided paying taxes by submitting fraudulent VAT invoices, but the authorities are avoiding imposing criminal liability. Administrative measures will be imposed and a list of these organizations has been sent to the General Taxation Authority. As reported by E.Chinggis, there are presently 1,200 enterprises which are under investigation for VAT payment. Prime Minister Ch.Saikhanbileg stressed, "Mongolia needs a strong army of taxpayers. In contrast to our structure, wealth creators have been considered offenders, which prove that the legal structure is wrong in Mongolia." Heads of the authorities that participated in the Prime Minister's broadcast shared the opinion that imposing high penalties and fines is not acceptable in practice, and would put more pressure on taxpayers. Ulaanbaatar, May 4 (MONTSAME) The Minister of Finance J.Erdenebat submitted to the Speaker Z.Enkhbold a draft law on accounting and a draft new wording of the law on audits on April 30. The Minister said the draft new wording of the law on audits "will help Mongolia's auditory activities satisfy the global standards by establishing a monitoring and evaluation system for audits, improving capacity of auditory organizations and auditors in providing adequate services in line with international terms, and reducing a pressure of audits on taxpayers". The bill on accounting will introduce international standards into the accounting of the public-interest entities and of small and medium enterprises, without any negative impact on the country's social and economic conditions, he explained. May 7 (UB Post) The following is an interview with Director of the Authority for Fair Competition and Consumer Protection (AFCCP) T.Ayursaikhan, about various complaints submitted by Ulaanbaatar residents. You've been working as the director of the AFCCP for over five months. Last Friday, you held an Open House Day. What kind of issues did residents primarily raise? Our authority not only enforces its core functions specified in the law but also issues policies for creating fair competition in Mongolia and for protecting consumer rights. We aim to reach a specific outcome. The focus of our policy and operations are the citizens. We organized an Open House with the purpose to resolve issues on the spot and provide knowledge about how a consumer can protect their rights and where to address. Consumer protection NGOs, some representatives from businesses, government and private sectors that have established contracts and memorandum with our authority participated in the event. We receive complaints from consumers on a daily basis, and resolving them is the main principle of the AFCCP. During weekends, we visit Condominium Owners' Associations, meet with residents, visit and check up on the conditions of pawnshops. Our main focus is to stop violations of the Law on Competition of state authorities, provincial authorities, provincial self-governing bodies and business owners, and inspect issues causing the most damage and discontentment among consumers, as well as eliminate violations and deficiencies. We also pay attention to studying the cause and reason for violations and deficiencies, suppress it and create a regulatory environment. Around 60 percent of complaints sent to the AFCCP are related to prices of apartments and 20 percent related to Condominium Owners' Associations. These issues have been discussed for a long time. Presently, what conclusion has the AFCCP reached? Since my appointment, I've been busy resolving complaints and doing inspections. I think it's unnecessary to concern about issues that have been settled, but I do take policy measures to prevent violations of the law and consumers' rights from occuring again. I believe that conditions for protecting consumer rights and creating fair competition in the market have to be provided. Consequently, inspections are mainly focused on this area. It's true that 60 percent of complaints are related to the construction sector. There are many violations of the size of apartments that people have bought being smaller than the size written on housing agreements. Moreover, we receive many petitions related to pipelines and infrastructure networks, landscaping, and quality. These types are complaints are likely to increase since many new apartments and buildings are being constructed. It'll be impossible to resolve this issue after it's been done. It's crucial to work towards preventing them. In this sense, the AFCCP established a memorandum with the Ministry of Construction and Urban Development (MCUD), issuing to have one of our representatives be part of the commission for licensing and commissioning buildings of the MCUD. The first nine blocks of the first apartment I was responsible of since entering the state commission, Khunnu 2222, has been commissioned. Areas of each household were measured precisely, and landscaping, car parks, green facility, other standards, IPTV, and cable television connections were checked meticulously. If we continue to work this way in the future, it's possible to dramatically decrease violations of consumer rights in the construction sector. Another issue is complaints and arguments related to Condominium Owners' Associations. There's a law on the legal status of Condominium Owners' Associations. This association was actually founded in good faith for helping people with common interests to unite and spend their money together. Yet, construction companies are establishing this type of associations without consents from residents, setting high fees without the participation of residents, and spending the money. The operations of Condominium Owners' Associations have become a tool for earning profit. We're doing works to stop this in stages. Since current legislations can't regulate operations of Condominium Owners' Associations, we're working to form a legal body capable of issuing changes [in legislations] and settle the issue. It's said that there are complaints against IPTV service providers concerning violation of citizens' right to choose and blocking fair competition by conspiring with construction companies. Has this conspiracy been confirmed? This is reality. Several violations were found after inspections in response to these types of complaints. IPTV provider organizations are having only their connection installed in apartments and to do this, they are using all sorts of methods, including conspiring with Condominium Owners' Associations and construction companies. This is considered a serious violation obstructing the rights to fair competition. We're working to provide other cable television's with fair competition conditions in the market. Most importantly, a standard is essential for continuing inspections and control of the state commission on buildings to be commissioned. Although organizations in the state commission check the quality, standard, and safety of buildings, they've been leaving out issues concerning consumer rights. This has raised issues related to cable televisions. There are some issues that have been discussed for a period and have even reached legal and judicial institutions, such as oil importer conspiring and increasing oil prices and banks exploiting one percent premium. How are these issues being resolved? Inevitably, these issues are at the center of the public and are distinctive because they involve many violations and irregularities. I've assigned D.Mandakh, who used to be the Director of the AFCCP, and I'm collaborating with him because he started this work. He played an important role in the approval of Law on Fair Competition in 2010 and raised the issue of oil importers, concerning 17 billion MNT. Issues about premium violations of banks began at the time and inspections were conducted during the time of the director before me. Since my appointment, these issues have been proceeding at the court level. Certain banks didn't accept the conclusions that state inspectors made about one percent premium being illegal, and went to court. Presently, decisions of two levels of court said that the conclusions of state inspectors are consistent to the law and banks should correct their errors. Now, we're waiting for the trial date for the inspection stage. As for the conspiracy of oil importers, the case has been tried and concluded. Now, we're receiving complaints questioning why oil prices in Mongolia aren't lowering when international markets have decreased oil prices. Our authority researched and estimated the pricing. The state used to charge a special tax of 252,000 MNT to 265,000 MNT per ton of oil and customs tax of one percent, but this was raised to five percent. The government took measures within its rights to make specific regulations for overcoming economic difficulties. This government measure cannot be considered a violation of the Law on Fair Competition. On the other hand, oil importers impacted the rapid increase of currency exchange rates. Due to this reason, [oil] prices are spiking. The Prime Minister reported that it's best to transition to a system that increases or decreases oil prices in consistency with international oil prices. At this time, the state is regulating and making arrangements. During the AFCCP's inspection within the scope of the Price Stabilization Program, violations of some companies using their grant loans for other things was discovered. What kind of measures were taken for this? An inspection was done on whether organizations that received financing within the scope of the Price Stabilization Program fulfilled their contractual obligations. After inspections and surveys, cement and rebar producer companies had violated their obligations. Specifically, it was determined that several companies had spent 44.9 billion MNT of their contract loan on other things. Violations of spending the money on completely different purposes and spending the money on their own sister companies had been discovered. We've submitted our proposal about the accountability for companies charged with these violations to the MCUD. They received concessional loans with an annual seven percent interest rate so this should be increased to the market interest rate, 17 to 18 percent interest rate, and have these companies repay, and they should be registered in the black list of the Ministry of Finance. The AFCCP partnered and signed memorandums with many organization. Memorandums are considered very common and ineffective in reality. Within the framework of memorandums, what actual projects is the AFCCP doing? I believe that establishing memorandums mustn't be done for ceremonial purposes. It should have a policy significance and aimed to supply man power and policy to resolving the issue at hand. In this sense, we established a memorandum with the MCUD and are working to establish a memorandum with the Communication Regulatory Commission for creating fair competition in the market, stop current violations, cooperate on conducting market studies, organize activities for consumers, determine businesses monopolizing and overpowering the market, and general monitoring. We are protecting people from commodity price booms, improving working conditions, and resolving other urgent issues with the Confederation of Mongolian Trade Unions. Ulaanbaatar, May 7 (MONTSAME) Grain sowing started on May 4, whereas the planting of potatoes and vegetables is expected to begin on May 10 and will continue until June 10, said R.Burmaa MP, the Minister of Food and Agriculture at the "Hour of Minister" weekly meeting on Thursday. This year, the country plans to sow grain on 328.6 thousand hectares area (wheat on 300 thousand hectares), potatoes--on 13.9 thousand hectares, vegetables--on 8.7 thousand hectares, oil plants--on 33 thousand hectares, fodder plants--on 16 thousand hectares, and fruits--on 1,000 hectares, said the Minister. For the planting works, 2,880 tractors, 2,170 seed drills, 4,680 units of soil processing and 326 drills of vegetables and potatoes have been prepared. In addition, 132 tractors will be supplied for the works in May 15. These tractors are given with a soft-loan of the China's government, said Burmaa. By a census of livestock population of end of 2014, the number of livestock reached 52 million heads, increasing by 6.8 million heads against end of 2013. At a national level, 70% of the dams or 15.2 million heads of livestock have given births, receiving 14.9 million baby animals in the lambing year of 2015, said Burmaa. The Minister also reported that the Ministry is taking measures for discussing drafts of the state policy on food and agriculture and program on sustainable development of land farming at the government and parliament. May 5 (UNDP) This research report was prepared by a team of scholars working under the project "Support to Participatory Legislative Process" implemented jointly by the Parliament of Mongolia and the United Nations Development Program (UNDP). The team includes Professor Ch.Enkhbaatar former judge of the Constitutional Tsets, as team leader; Professor D.Solongo, Member of the Constitutional Tsets and Dean of the Law School at the National University of Mongolia; P.Amarjargal, Senior Adviser in the Legal Service Department of the Parliament Secretariat; and Professor Tom Ginsburg of the University of Chicago Law School. Ts.Davaadulam and G.Zoljargal, UNDP staff members, greatly contributed to the study. An earlier draft of the report was presented for comment and expert feedback to: the members of the Parliamentary Working Group on Constitutional Reform, as well as D.Lundeejantsan, Member of Parliament; Professor N.Lundendorj, Chair of the General Council of Courts; Ch.Unurbayar, Human Rights and Legal Policy Adviser to the President of Mongolia; and D.Lamjav, independent researcher. The report has incorporated many of these comments. The report also benefited from a thorough review of the draft by Shelley Inglis, Policy Adviser, Democratic Governance Group, Bureau for Development Policy, UNDP and N.Luvsanjav, national project adviser of UNDP. We express our deep gratitude to the State Great Hural, and especially to the Vice-Chairman of the State Great Hural L.Tsog, Chair of the Standing Committee on State Structure A.Bakei, and Secretary-General of the Parliament Secretariat B.Boldbaatar for their support and encouragement. The findings and views expressed in the report do not represent the views of the Government of Mongolia or those of the UNDP. We take a responsibility for all errors. 1. The Constitution of Mongolia, adopted in January 1992 as part of the country's transition to democracy, is now over twenty years old. This report, commissioned by the Parliament of Mongolia and the United Nations Development Programme, conducts an assessment of the performance of the constitution, analyzing the drafting process, the structure of the state, various oversight institutions, and specific topics including human rights, emergency provisions and amendment procedures. Because data limitations do not allow us to explore every area in equal depth, we focus especially on the performance of the political system and issues of state structure. We also evaluate the constitutional scheme along several "external" dimensions of performance: generating legitimacy for the government, channeling political conflict, providing a framework for limiting agency costs (limiting the government) and the creation of public goods (empowering the government). We show that the Constitution has done a good job in terms of the first two objectives, and may be improving in terms of the third and fourth. Our overall view is that the 1992 Constitution has been generally successful in terms of its initial objectives. We do, however, identify a number of potential changes which might be considered as Mongolia moves to a new stage in its development. 2. All constitutions face challenges not fully anticipated by their drafters. In the case of Mongolia, two challenges stand out. First, the major constitutional issue of whether MPs can simultaneously serve in government has absorbed political attention since a 1996 Constitutional Tsets case required the separation of government from parliament. While this issue was briefly considered during the drafting debates, no one expected it to be so contentious in practice. The second challenge has been the discovery of minerals which have completely changed Mongolia's economic structure and have challenged the governance system. Whether Mongolia's system can cope with this challenge will likely be a very important issue in the immediate future. 3. Every constitution must change over time to keep pace with the society. Mongolia is a very different place today than it was in 1991, when the current document was drafted. Current political debate focuses around a small number of potential amendments to the constitution. We hope that our report can inform this debate and provide justifications for possible amendments that might be considered, should a decision to amend the Constitution pass. We also note that the current constitution has the potential to be used in greater depth to meet Mongolia's current challenges. Many of these challenges can be addressed through organic law and political practiceas embodied in common understandings among the main political actors. 4. Our specific recommendations for constitutional amendment are listed at the end ofthis document. We believe it is appropriate to introduce restrictions on MPs servingin the Government, along with other changes to focus the State Great Hural on its primary tasks of passing legislation and overseeing the government. We suggest that staggering presidential and parliamentary elections on a two-year cycle would be an appropriate change to consider. We also recommend changes to the scheme of local government and the jurisdiction of the Constitutional Tsets, as well as a number of other minor amendments to clarify the constitutional language. We believe that these changes can provide a sound basis for Mongolia's constitution to endure for a long time to come. Ulaanbaatar, May 7 (MONTSAME) The Unified Confederation of Mongolian Journalists (UCMJ) will collaborate with the Unified Union of Mongolian Photographers (UUMP). A memorandum on this cooperation was signed Thursday by B.Galaarid, the UCMJ president; and L.Enkh-Amgalan MP, the UUMP president. The document's main objectives are to value intellectual works of photographers high, to support each other at the external relations area, to strengthen the cooperation between the organizations in accordance with international conventions Mongolia joined and national laws, to introduce standards for bringing the collaboration into a new volume and to contribute together to a social development. May 7 (news.mn) The book "Proofreading of Information" has been used as a reference book for German journalists since its initial, and it has now been translated into Mongolian. The author, Michael Haller, was a professor in the field of general and specialized journalism at the University of Leipzig until his retirement, and now leads the journalism research section at the Hamburg Media Institute. Haller visited Mongolia to participate in the launch of this new translation of his book. During the launch ceremony Haller noted that he is very happy that his book has been translated into Mongolian. The book has been printed in seven editions, and Haller is now working on the 8th edition. The book explains why information should be carefully proofread and checked carefully for accuracy, and why it is crucial for journalists to learn the methodology of proofreading. Haller's book is very important to journalism in Germany and has been considered a standard text for journalists for 30 years. Mongolian journalists say they are happy with the findings and that they can now study the methodology of proofreading in Haller's book. The book was translated from German by Kh.Ariunchimeg, who holds a PhD in journalism, and proofread by N.Batjarhal. The Mongolian Press Institute and Deutsche Welle Academy provided sponsorship for the publication of the book. May 4 (news.mn) The Media Ethics Council for journalists has been established recently. Gogo.mn spoke to Operations Deputy Director U.Tamir to learn more about the new organization. Could you introduce us to the operations of the Media Ethics Council and what stage it is in now? We have approved our internal procedures and rules. Moreover, we have approved press and media ethics which should be adhered to in Mongolian journalism. The Media Ethics Council for journalists opened to receive complaints starting from April 22. Complaints can be related to and cover cases which have happened three months before the report, so it can be for publication, broadcast, and interviews. Before the submission of the claim, the claimant should apply to the media organization first. The organization will receive a complaint from a citizen and determine whether or not the compliant is substantial. If the issue has been resolved by the media organization it is not necessary to resolve the issue through a meeting of the Media Ethics Council. We have two committees; one is the committee for newspapers, journals, and websites, and another is for radio and television. The relevant committee will receive and discuss complaints and make a ruling. In the case that one of sides is not found guilty of wrongdoing, the Media Ethics Council will present its findings to the public. Could you share with us how journalists feel about the establishment of the Media Ethics Council? What is the difference between your organization and the United Council of Journalists? The United Council of Journalists is an organization which protects journalists. However, the Media Ethics Council is an organization which influences adherence to ethical principles by journalists. The Media Ethics Council is not an organization which can penalize journalists. In case a journalist makes a mistake, the organization will remind them to make adjustments. Complaints regarding media and information organizations can be submitted at the 11th floor of the Mongol Television Tower, from Monday to Friday, between 10:00 to 12:00 p.m. and 2:30 to 5:00 p.m.
May 7 (UB Post) The draft of the National Program for Fighting Corruption and Strengthening Accountability and Justice, set to be discussed by Parliament, has received waves of criticism for posing threats to Mongolia's press freedom. President of the Mongolian Journalists' Union B.Galaarid said that the draft includes restrictions that "require attention and caution" and that he "will not stand by" as a faulty draft law is approved. Organizations devoted to press freedom and the development of journalism in Mongolia, such as Globe International and the Press Institute, have expressed their opposition to the draft bill, claiming that it restricts media freedom. The draft, concocted by the President of Mongolia, obliges media organizations to publish press releases of state organizations and the speeches of government officials, and disclose agreements with private companies, the state, and individuals. Media officials view the mandatory publication of state press releases and official speeches, reportedly on anti-corruption related actions, as reverting to policies under a socialist regime – when the state had total control over media. B.Galaarid said that if media is mandated to publish and broadcast content that they have no control over, it will affect their businesses badly and chip away at the audience and readership of media outlets. They also said that the state should have no power over the disclosure of agreements and contracts between private parties, and that disclosure would drive away investors in the sector. Aside from the President's draft bill, there are numerous laws and legislation that pose serious threats to press freedom and freedom of speech. During a roundtable meeting of media representatives, D.Munkhburen, a lawyer from Globe International, listed and explained some laws that strangle the press. One of the most criticized aspects of legislation was the fact that defamation and libel are viewed as criminal offenses in the Criminal Code of Mongolia, punishable by up to six months of detainment and two to five years of prison time. Other democracies around the world view defamation and libel cases as civil offenses and impose monetary fines. But Mongolian law allows journalists and individuals to be imprisoned on charges of defamation, as demonstrated in the case of Ts.Bat, the aviation engineer and blogger who was detained and investigated for criticizing former Minister of Transportation A.Gansukh on social media. The Organization for Security and Co-operation in Europe, which safeguards democracy in its member states (including Mongolia), criticized the inclusion of defamation and libel cases in the Criminal Code, and said it brings about "a chilling effect". D.Munkhburen also claimed that the Laws on State and Individual Secrets and the objectivity of the law can endanger journalists who publish articles about state officials. Although Mongolia showed significant improvement in the World Press Freedom Index, jumping from 88th place to 54th (out of 180 countries) from 2014 to 2015, it is clear that there are various red flags in Mongolia's laws that restrict press freedom, and the country needs further advancement in this area. Media representatives in the country have called on all media organizations, journalists and individuals to voice their opinions on the issue, to show a united front against restriction in press freedom. Press freedom is critical for the healthy development of all countries, and the world, and it provides a platform for intelligent decision making by government leaders and citizens through the distribution of accurate and timely information. This foundational and fundamental right of a democratic nation should be safeguarded at all costs to ensure the prosperity of a nation and its citizens. An independent press and media is the most powerful tool against corruption and injustice, and laws that are designed to eliminate corruption should not threaten to destroy its most powerful defense: press freedom. The UB Post, as the first independent English newspaper in Mongolia, has always supported freedom of the press and ethical journalism, and strives to shed light on critical issues in Mongolia on a timely basis. We believe that the draft on the National Program for Fighting Corruption and Strengthening Accountability and Justice, regardless of its initial intentions, poses a major threat to press freedom, which is the most powerful tool available to fight corruption and bureaucracy. It should not be passed by Parliament, and other laws that hinder this freedom should be reviewed and revised with urgency. Ulaanbaatar, May 5 (MONTSAME) Head of the Presidential Office P.Tsagaan Monday received Mr David Arnold, the president of the Asia Foundation (AF), who is taking part in the Fifth Ministerial Meeting of the Online Freedom Coalition running in Ulaanbaatar. The AF launched its activities in Mongolia in 1990s, it was the very first international NGO in Mongolia. It opened its representative office in 1993. The AF has significantly contributed to Mongolia's democracy, the sides highlighted. The AF's main programs currently focus on strengthening good governance and on promoting a transparency, on improving urban service delivery, fostering civic engagement at sub-national level, promoting environmental rehabilitation of artisanal mining, implementation of national anti-trafficking mechanisms, and on promoting an access to information. Present at the meeting was Ms Meloney C.Lindberg, the AF's Country director for Mongolia. May 7 (UB Post) What is higher education needed for? Does higher education help one get employed for higher ranking positions? Nowadays, the social status of a person is determined by the work they do and the money they earn. Badral has been looking for a job for a whole year. He applies for jobs announced in newspapers and by employment service agencies, and he asks his friends and relatives to let him know about vacancies. Companies call him for interviews and then tell him to wait for an answer, but he never receives a response. Badral's last job, working for a project run by the state, ended when the minister in charge of the project resigned because of a political dispute. They even did not pay their employees the last three months of their salary, explaining that the state did not issue the project's budget. Badral is a well-educated man in his mid-thirties. He graduated from a Russian secondary school, obtained a bachelor's degree in Germany in marketing, and continued his education in financing and accounting at two universities in Mongolia. He is fluent in Russian, German, and speaks English. He has almost 10 years of experience working in marketing. He wanted to pursue a career in the fields he studied in Mongolia and work as an accountant or in finance. However, most employers demand at least two years of work experience in a specialized field. With these expectations, how can a fresh graduate ever get a job? It has become almost standard in Mongolia for employers to hire people they know; friends, relatives, or an acquaintance, even though they may not have an education in the area the job demands. This unwritten standard even applies to state services. An acquaintance of mine who works in a ministry says that no matter what score you received on the state service exam, if you have a high-ranking acquaintance in a ministry, and if you have money, you can get a job. Positions for state service are regularly announced online. According to official principles, the applicant with the highest state service exam score is hired for an open position in state service. However, the principles are not followed. This shows that the recruitment procedure for state service employment should become more transparent. Badral's case is a common one in Mongolia, where well-educated young people stay unemployed for years because of employment criteria to have years of work experience, or being left behind because they do not have relatives who employ workers. Desperate, well-educated young people take up taxi driving to feed their families, or try to trade something and fail. Basically, they end up doing completely different things than what they intended and invested in doing. Some entities and companies have trial periods when hiring a new person. The trial period gives the company the opportunity to spend less, and they can avoid the responsibility of paying taxes such as social insurance, health insurance, sudden unemployment insurance, and income taxes. A trial period is one method for an employer to avoid many taxes, fees, and social responsibilities. A worker on a trial does their best and works overtime for a small salary, making a huge effort to get hired full-time. The Labor Ministry and employment organizations should work on legalizing labor contracts for trial periods between employers and employees. Legislation could keep employers from exploiting workers on trial, and on-trial workers could perform their jobs without the fear that they could be fired at any time. Large sectors that have the capacity to employ the masses, such as mining and construction, are in stagnation. Small businesses are retrenching workers or have already shut down. Spaces at malls and trading centers are emptying because sales are dwindling. According to a recent survey by Sant Maral Foundation, conducted among 1,200 people in Ulaanbaatar and the provinces, 32.2 percent of those surveyed were unemployed. While politicians debate over whether or not Mongolia is an economic crisis, one third of the country's population remains unemployed. Unemployment is the product of a crisis. SINGAPORE, May 7 (IFR) - The Trade and Development Bank of Mongolia's proposed bond offering raises questions about the strength of its government guarantee and how Mongolia will meet its coming obligations in US dollars. TDBM set up a US$500m medium-term-note programme with an irrevocable guarantee from the sovereign, winning it ratings of B2/B+ (Moody's/S&P). However, some investors are concerned that the main purpose of the offering could be to give the government access to dollars, not repay debt. "When we rate government-guaranteed debt, we also consider the willingness of the government to honour the guarantee. B+ already factors in considerable uncertainty in Mongolia's policy setting," said Robert Zhong, director of sovereign and international public finance ratings at Standard & Poor's. Under the terms of Mongolia's Debt Management Law, passed this year, the government can only guarantee borrowings of state-owned Development Bank of Mongolia in full, or up to 85% of borrowings of other eligible entities. However, if the borrower holds government bonds, the sovereign can give a guarantee for up to the equivalent amount of the paper held. This means TDBM needs to maintain a holding of at least US$500m-equivalent in government securities for the life of the bonds, if it exercises the full amount of the MTN programme. The lender said it held 1.015trn Mongolian tugriks, equivalent to US$517m, in government securities as of April 28. If any of the government securities mature before TDBM's bonds do, the Ministry of Finance will have to issue and sell more government securities to the bank to make up the shortfall. Provisional government figures for 2014, cited in the prospectus, show that Mongolia's domestic public debt stood at just US$1.57bn or so, although analysts are uncertain that the figure is exact. "Mongolia's external debt is more transparent than its internal debt," said Zhong. It is difficult to find data to confirm the amount of debt that the sovereign issued because the Bank of Mongolia sometimes removes information on government bond auctions from public view, particularly if these fail due to weak bids. This has happened at least six times for longer-dated bonds offered this year. It raises the question of what will happen if TDBM is forced to sell off government securities - for example, if it finds itself short of liquidity. The terms of the guarantee, for which it will pay US$10m, suggest that, if TDBM's holdings of government securities fall below the principal amount of its bonds, they would no longer be fully guaranteed. TDBM will enter into a currency swap with the Mongolian central bank for the full amount of the proceeds from bonds, meaning it will give Bank of Mongolia US dollars and receive tugriks, with the swap to be reversed at the end of the tenor. This will give the sovereign a supply of dollars, without adding to its debt burden. "I am hesitant to participate," said a bond investor. "It seems the government is utilising them to replenish its US dollar reserves, which have been depleted to critical levels." TDBM has said it will use part of the proceeds from the bonds to repay debts, with a US$330m redemption of its existing notes looming in September. However, it will not ultimately receive US dollars from the latest offering, which means it may need to seek dollars from Bank of Mongolia within months of swapping the US currency proceeds. 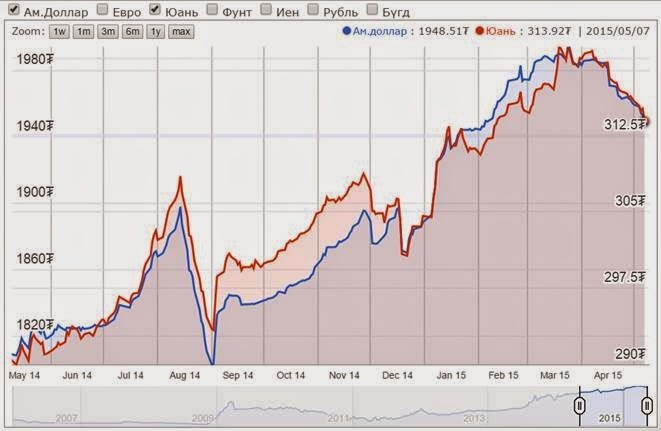 "BoM is effectively the only market-maker for the FX market," said a Mongolian banker. "Once TDBM commits all US dollars from this issuance to a swap with BoM, it has limited channels to convert the tugriks received from BoM back into US dollars. Other commercial banks are very unlikely to use their US dollar reserves to help TDBM. The FX market is not liquid at all." Mongolia and its state-linked entities have several large foreign-currency repayments coming due between March 2017 and January 2018, and the sovereign had around US$1.3bn in its current international reserves at the end of March, according to official figures. DBM has a US$580m government-guaranteed bond due in March 2017 and a "Chinggis" sovereign bond of US$500m due January 2018. It also has a Rmb15bn (US$2.4bn) bilateral three-year swap line with the People's Bank of China due in 2017, though it might be extended. Under a debt management plan submitted to parliament this Spring, the government said it planned to repay the DBM and Chinggis bonds through budget revenues or refinancing from international markets. The government has this year introduced a more foreigner-friendly investment law, which it hopes will draw FDI and boost the economy. Still, foreign investors will be aware of the risks involved in taking exposure to Mongolia, which also raise doubts about the enforceability of TDBM's guarantee. South Africa's Standard Bank is engaged in a legal battle with a company linked to the Mongolian government, after lending to Just Group, a petroleum distributor. The loan, now in default, came with a guarantee from state-backed copper miner Erdenet Mining Corporation. "Legal proceedings in London against Erdenet Mining Corporation and Just Group are continuing and we are determined to recover monies owed to us. At this stage, we have no further comments as this is a legal matter," said Standard Bank in a statement. In March, an international tribunal panel, constituted under UNCITRA, a commission that regulates international trade alongside the World Trade Organisation, awarded Canada's Khan Resources US$80m plus interest compounded from July 2009, totalling US$104m as of April 23, after Mongolia's government cancelled Khan's uranium licences in 2009 and awarded them to Russia's ARMZ. The government indicated it did not intend to comply with the order. Khan's chairman, Jim Doak, died in his hotel room in Ulaanbaatar last month, following meetings with representatives of the government. "It is, of course, the Mongolian Government's decision as to whether they want to respect the rule of law and honour the award, or join the small group of recalcitrant sovereigns, who make attempts to avoid their international obligations," said Khan's president and CEO, Grant Edey, in a statement last month. Ulaanbaatar, April 29, 2015 (Ministry of Mining) The Ministry of Mining of Mongolia holds "Transparent Mining" conference every month, headed by the Minister of Mining, to report its activities, and work being implemented in geology and mining sector in Mongolia. Following is the conference newsletter for the month of April. "Coal Mongolia – 2015", an International Conference and Exhibition for Coal Investors was held in Ulaanbaatar for the 5th year during April 9-10 attracting about 600 delegates from Mongolian Government, NGOs, and local and international enterprises. The main purpose of the conference is to identify the current status and future development trends; introduce relevant projects in coal exploration, extraction, and processing; attract investment and develop mutually beneficial cooperation; and to adopt advanced technology which is environmentally friendly. Number of speeches was given in the context on increasing the competitiveness of coal sector to strengthen the national position in the export markets, reduction of product cost, and on improving coal and coal product quality to meet the standards of the region. Current Budget Law allocates 5 percent of minerals royalty revenues to the Regional development fund, and distributes it to the capital city, 21 provinces, and all soums and districts on a percentage basis to support local and regional development. Since this policy is a one that promotes the regional development by the proceeds from the mining sector, it does not act as a leverage to support the geology, exploration, and mining activities. Thus, general tendency is that the local authorities and public is not supportive of geological exploration and mining activities. Therefore, in order to provide the regional and local government a direct share of income from the royalties and minerals licenses, the cabinet has submitted draft law on amendments to the Budget Law, and Human Development Law. Draft law aims to adjust the Budget Law to increase the minerals royalty fee by 30 percent, of the total revenue; and to increase the minerals exploration and mining license fee by 50 percent to allocate in the Regional development fund. According to the "To Prohibit Mineral Exploration and Mining Operations at River Headwaters, Protected Zones of Water Reservoirs and Forested Areas" law the "Procedures and Contract models" draft resolution was discussed and approved by the Cabinet assembly. This procedure and contract specifies how the common security zones for the water basin areas be set, and what organizations be responsible for differing aspects and so on. 316 special permit holding entities (out of 488) subject to "Law with Long Name" have requested the Mineral Resource Authority (MRAM) to resolve their special permits within the legal framework. MRAM examined and sent the said permits to Ministry of Environment, Green Development and Tourism (MEGDT) to determine any overlaps. Accordingly, a working group, formed by the MEGDT Minister's decree, is working to determine border boundaries and settle conflicts and disputes. Above entities would first have their zone boundaries set in the water basin areas (200 meters), and the contract would be completed based on the conclusions of the General Agency for Specialized Inspection, and MEGDT whether production was ongoing before the enactment of LLN. In order to increase investments and intensify oil exploration, the Parliament plenary session dated April 20 approved the production sharing contract at "Uvs I", "Kherlentokhoi XXVIII" exploration areas. It enables the investment of USD257.57 million for "Uvs I", USD81.4 million for "Kherlentokhoi XXVIII", total of USD338.97 million. The scope, volume, variety, and the investments would increase depending on the results. Minerals exploration permit application numbers have started being issued through online application process starting January 26, 2015. During this period, a total of 874 entities have registered with the Minerals Authority. 817 of the above enterprises were domestically invested, 45 are 100 percent foreign invested (PRC-17; Singapore-9; Australia-4; Canada-3; Grand Duchy of Luxembourg-3; others-9), and 12 are jointly invested. As of April 29, MRAM has assigned 1320 application submission numbers and received 830 applications and have reviewed them. Under the Minerals Law, 136 new special permits were issued, and notices were sent for the respective Governors' proposals for 492 areas where special permits could be issued upon review. There were a total of 7 selection processes were successfully carried out in the framework of "Regulation for selection procedure to issue special licenses for the 106 mining and exploitation areas where its special licenses were revoked by court order" since August 21, 2014. Special permits were granted for a total of 34 areas. 8 areas have not received any bids after bidding announcements, and the ones that bid did not suffice the "Evaluation document" requirement are transferred to the application areas under the Articles 18, 19 of Minerals Law of Mongolia. Permit related services contributed a total sum of MNT10.3 billion to the State budget during the period of January 1 to April 24. Of which MNT8.95 billion were from special permit fees, MNT431 million in service fees, MNT270 million in exploration permit issuance service fees, and MNT686 million in Application number issuance online access fees. 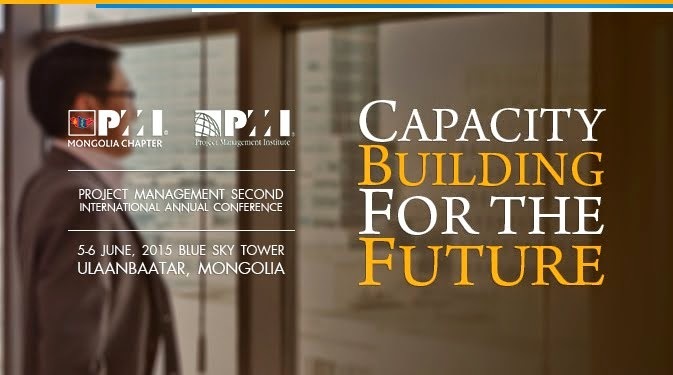 "First Priority Occupational Safety–2015" conference was held in Ulaanbaatar. The conference was organized by the Ministry of Labor, Ministry of Construction and Urban Development, Ministry of Mining, and the National Mining Association. Legal system is now being implemented for post accident activities such as monitoring, testing, and registration. There is no adequate infrastructure or standards to prevent accidents at the moment. There are number of essential works to be done to improve the legal environment. Parliamentary session dated February 16 approved the draft law to join the International Labor Organization's Safety and Health in Mines Convention 176, and set to discuss further with the relevant standing committee. "State Minerals Policy" which was ratified by the 18th decree of 2014 Parliamentary session set a goal to "To improve occupational safety and health laws and regulations within minerals sector and to satisfy international standards and to implement them accordingly". The Ministry formed a sub-committee on Occupational and Health Safety in Mines to draft a subprogram for labor safety and health in mining, geology, and petroleum sector, and further join the International Labor Organization's Safety and Health in Mines Convention 176. Additional regulations will be approved upon membership. The Ministry is also working toward to establish councils at the affiliated agencies, and set up an occupational safety and health unit at the Ministry. The Ministry does now employ an occupational safety specialist. In order to develop the cooperation and international relations in the mining sector the senior management of the Ministry has held the following meetings. Mining Minister Jigjid Rentsendoo has received Amos J Hochstein, the Special Envoy and Coordinator for International Energy Affairs at the U.S. Department of State; Ambassador Extraordinary and Plenipotentiary of the Commonwealth of Australia to Mongolia to William Paterson; and Mr. A.P.Sukhov, a deputy head of the Legislative Assembly of Russia's Sverdlovsk oblast to present and discuss the policies and activities being taken by the Government to increase foreign investment in the mining sector – which is now the mainstay of the Mongolian economy and export; and implementation of legal and judicial reform to make the related laws and regulations coherent, transparent, competitive and stable in the long-term. Vice Minister Temuulen Ganzorig met the Head of the Development Consular at the Canadian Embassy Ms. Nancy Foster. Heads of Department and Divisions has received delegates from the Kyrgyz Republic headed by Parliament Member Akunaly Dosaliev to introduce the activities of Minerals Resources Authority and the Petroleum Authority of Mongolia. Opening ceremony of the "G7-Connex-Mongolia" initiative was held in Ulaanbaatar on April 27, 2015. Also, the Ministry organized the introduction meetings of the dry coal processing production system project of the Nagata Engineering Co., Ltd (entity which won the tender announced by the New Energy and Industrial Technology Development Organization (NEDO), an incorporated administrative agency of the Ministry of Economy, Trade and Industry of Japan), as well as the semi-coke briquette production system project of Kurimoto Co., Ltd. Following are the statistics for the major products in the first quarter: coal – 5.8 million tons, gold – 939.3 kg, oil – 268.6 thousand tons. Fluoride 57 thousand tons, copper ore – 170.9 thousand tons, iron ore concentrate – 521 thousand tons, zinc concentrate 24.8 thousand tons were produced in this period. Export volume of copper concentrate has risen by 95.3 thousand tons (total of 309.4 thousand tons), iron ore 89.3 thousand tons (997.7 thousand tons), gold 284.9 kilograms (2.5 tons), oil 41 tons (263.2 thousand tons) compared to that of last year. Coal exports were declined by 490 thousand tons (total of 3.2 million tons) compared to the same period of last year. MRAM has contributed a total of MNT9.9 billion in revenue to the state budget, including MNT7.6 billion in mineral exploration and exploitation permit fees, reimbursement fees of state funded prospecting at MNT104.1 million, other income of MNT2.2 billion in the first 3 months of 2015. Petroleum Authority contributed a total of MNT28.7 billion to the total budget, of which MNT28.4 billion were petroleum revenue, and other revenue accounted for MNT308.4 million. Mining Minister's revenue performance allocated total of MNT38.6 billion to the state budget. As of April 28, the state fuel reserve is at 43 days of regular consumption on average. Hereof, A-80 has 54 days, Ai-92 56 days, and diesel fuel 39, and TS-1 jet fuel 25 days. May 5 (news.mn) The Ministry of Industry has expanded its policy to be adhered to in the industrial sector and submitted the document to Parliament for approval. The industrial sector's production outline has been elaborated upon and the policy includes plans to build a petroleum refinery. According to Recommendation #14/06 dated March 17, 2014, the Mongolian National Security Council of Mongolia assigned the Government of Mongolia with establishing a strategically important petroleum refinery to utilize domestic resources. Government Resolution #113 has since been approved to resolve the issue of establishing a petroleum processing factory. A working group is now moving forward on environmental studies and a preliminary feasibility study for a processing factory to be built in the Gobi region. The working group has decided to select an advisory company to cooperate with for the preliminary feasibility study and environmental evaluation. Information regarding the selection process is available at www.mi.gov.mn. May 5 (news.mn) The working group on the construction of the Russia-Mongolia-China highway will cooperate with Mongolia's Land Affairs, Construction Geodesy and Cartography Agency. Geotechnical research and detailed projections for the construction of the 1,000 kilometer highway from Altanbulag-Ulaanbaatar-Zamyn-Uud is underway now. As reported by officials, plans for the construction of the nation's first international standard transit highway are due for completion. Last week, Chinggis Land Group, the Implementing Agency of the Government of Mongolia, together with the Land Affairs, Construction Geodesy and Cartography Agency have signed a memorandum of understanding (MoU) on cooperation. Under the MoU, the sides will receive professional and methodological assistance for road construction and project activity, engineering research, registration of a dependence area, and topographic drawings of the highway. The Land Affairs, Construction Geodesy and Cartography Agency will create an information database of the highway and dependence area at a stage-by-stage level; will give advice on the implementation of the project, budget, and regarding technical inspection issues; carry out research and elaboration work; and cooperate according to study conclusions and recommendations. Under the MOU the sides will also cooperate on the introduction of a "smart" road system. May 6 (infomongolia.com) Representatives of Borgo Italia, the Consortium of United Italian Factories will be conducting a working visit to Mongolia to officially introduce its Miss Grant, Monnalisa, and Sarabanda brands. In the scope of their visit, they interested to seek partners, distributors and set up negotiations as well as to hold one-to-one meetings. These brands introduction presentations will be held at Mongolian National Chamber of Commerce and Industry commencing at 10:00 am on May 14, 2015. May 6 (Emerging Frontiers) Economically blessed due to its geographical placement between two major industrial powers, Mongolia is the world's 19th largest country by land mass – yet, with only three million citizens it is also the most sparsely populated. It has been largely isolated from the global economy until recently, when foreign mining companies reached an agreement with the government to extract its enormous natural resources – about US$1.3 trillion in proven reserves of minerals, coal, and other untapped commodities. Such resources are of critical importance to its southern neighbor; China remains the world's most voracious consumer of commodities. The resulting economic boom sparked impressive double-digit GDP growth for Mongolia for several consecutive years. A combination of macroeconomic factors and government mismanagement has slowed that growth since 2012, however even amidst this 'slowdown' the country recorded GDP growth of 7.8% last year. Despite the country's vast expanse with landmass comprising an area larger than France, Germany and Spain combined, 45% of the population lives in one city, the capital of Ulaanbaatar. According to the Asian Development Bank, this urban center is growing by about 40,000 people each year. Attempts to upgrade and expand the city's aging Soviet-built infrastructure on the heels of an unprecedented urban migration are not keeping pace. Mongolia's commodities boom is now creating a rapidly-expanding middle class among Ulaanbaatar's 1.3 million inhabitants. This, coupled with an influx of thousands of foreigners who work in mining and related activities, is producing congestion and strains on infrastructure that Soviet-era urban planners could never have imagined. When designed, the city was conceived as a town for no more than 600,000 individuals – a compact city center erected along a river valley, ringed by the hills of the endless Mongolian steppe. The city's central business district (CBD) remains by far the busiest part of town for both businesses and residents. Property developers are keen to cater to market demand for prime office space and modern apartments, and therefore continue to build vertically rather than punting on new development corridors lying further afield. Nonetheless, many of the hundreds of thousands of Mongolian migrants in Ulaanbaatar, accounting for about 60% of the population, now live in the peripheral of the urban sprawl, among the bordering hillside. We recently spoke with Christopher de Gruben, CEO of MAD Mongolia, a real estate investment firm that works to service the needs of an emerging Mongolia. Chief among issues facing the city is its infamous gridlock (which some say is equal to what one would experience in notoriously congested Bangkok). Cars - ever the status symbol - are vital in Mongolia for those who can afford them, and offer both comfort and relief from the country's brutally cold winters. With each passing year, thousands of new cars enter Ulaanbaatar's potholed city streets. While the city's outdated layout is certainly a factor in the congestion problem, the lack of parking facilities also exacerbates the situation. Cars are routinely parked alongside major thoroughfares in the CBD, preventing usage of traffic lanes and stifling movement. Many say it's not unheard of for an individual to simply idle their car in the street while shopping in downtown stores. Even Ulaanbaatar's newest luxury apartment buildings and posh shopping centers have been launched without the incorporation of adequate parking structures. The result is that parking spaces in central Ulaanbaatar can cost several hundred US dollars per month – a level that is on par with London, New York, and the world's other most expensive cities. Ulaanbaatar's structural issues have not gone unrecognized by the Mongolian government, and it indeed does have a number of public works projects planned to help alleviate some of the city's overcrowding. Arguably the most ambitious of the lot is the development of an entirely new capital, Maidar City, designed for 300,000 people, that lies just 30km beyond Ulaanbaatar. Another involves billions of dollars in infrastructure enhancement in the ger districts, the outlying communities interspersed throughout the hills of the country's capital. However, many are skeptical that Mongolia's government will be able to pass the necessary legislation, and secure requisite financing for these projects in a timely manner. The country has a vibrant democracy that is known to be raucous at times. Tenders for other ambitious public infrastructure projects such as a Metro have also been announced, but many questions surround completion dates and other challenges to implementation. Judging by the scale of these projects and their nascent stage, the private sector has a rather large window of opportunity to provide innovative solutions that cater to a seemingly unrelenting demand for urban living and all that such a lifestyle beckons. May 7 (Bloomberg) For a quarter of a century the name Mark Mobius has been synonymous with investing in developing markets. A bald, energetic, New York native who often dresses in white suits, Mobius is constantly tweeting and appearing on television from St. Petersburg to São Paulo encouraging investors to put money into fast-growing developing economies. A Mark Mobius comic book published in Asia in 2007 chronicled his globe-trotting exploits. (Really.) In the U.S. he was voted by his peers onto a list of the top 10 investors of the 20th century, putting him alongside Warren Buffett, Julian Robertson, and George Soros. What Bill Gross was to bonds, Mobius was to emerging markets: the King. Even with the recent under-performance, an initial investment of $100,000 in the Templeton Emerging Markets Fund 28 years ago would be worth about $3.3 million today, according to data compiled by Bloomberg. Mobius has yet to announce any plans to retire or scale back his workload. In the last days of April, he wrote a blog on foreign reserves, talked about Greece's finances on CNBC, and celebrated the debut of Templeton's new Romanian fund on the London Stock Exchange. Countries such as Romania and Mongolia could be the next frontier that enriches investors, he said. May 7 (Mongolian Economy) The CEO of UFC Group O.Amartuvshin heads the newly established Ulaanbaatar City Chamber of Commerce. He became CEO of Uvs Khuns JSC in 2005. Amartuvshin is considered to be one of the leading businessmen in Mongolia. We discussed Mongolia's business and economic environment and solutions to obstacles the country is currently facing. How do you see Mongolia's future in the global marketplace? I wish to see Mongolia to develop to become a most valuable and guaranteed investment target for any investor in the world. In addition, Mongolia must be a place where investment returns are highest. Uneven taxation regulations and an unstable legal environment cause major issues for investments. The government of Mongolia is trying to set certain things right. Do see any effective approaches made by the government? Until recently, the economy of Mongolia grew at an incredible pace. Major economies said Mongolia could become one of world's financial centres. Unfortunately, reality changed to the opposite. International organisations are now concluding that Mongolia could become a country with one of the lowest growth rates in Asia. Our uncertain legal environment and actions have added to the situation, resulting in declined FDI. It is time to discuss about building credibility among investors, because FDI is crucial to our country's development. No investor will come to a place where his assets can go worthless at any time. Many consider Oyu Tolgoi and Tavan Tolgoi as just companies. These are not just companies. They are major indicators of Mongolia's economy. They are income sources of Mongolia's growth. However, by looking at the processes of the two projects, there are clear indications of what the business environment in Mongolia currently is. If these megaprojects are given the go ahead, Mongolia will be able to regain investors' trust. Investors are waiting for how the projects' fates are going to be decided. The Mongolian government is making an effort. Business sector people must offer their help too. If big companies can't make any progress in running a business here, smaller companies can't risk investing in Mongolia. Everyone agrees that the business environment is bad. Is there any ray of hope that things might turn out better? With the newly established government in parliament, both national and international investors have high expectations. The government has to act decisively. Investment and cooperation with the private sector is important for a country's growth and development. And it is important that citizens have jobs and incomes. These are fulfilled with the help of investment. Thus, the government should focus on creating jobs. Doing so will enable the needed growth and higher economic indicators. What important solutions must the government incorporate to support business and expand the economy? There are about 40,000 active enterprises in Mongolia. They all can't be independent from one another. So, big national companies must be established, while at least 10 big projects must be implemented. These will create enough jobs, and thus create income. Having a business pyramid could be an option. This means having big companies running business, which would support smaller companies and so on. However, the government has been trying to run its own business. Instead of that, it should more focus on creating the needed business framework to let the private sector do its job properly. The USD 1.5 billion Chinggis Bond, issued by the government, could have been invested into more profitable sectors. However, the majority of the money has financed projects that give their returns after a long time. We had the chance. But I think the government's irresponsible decision has led to the current economic troubles. Public-private partnerships are relatively unknown in Mongolia. How should the mechanism develop, in order to make partnerships more effective? Private-public partnerships were first discussed in Mongolia in 2007 and 2008. The government is the biggest customer, and the private sector supplies its needs. The relationship between these two must support each other. In terms of governance, the decision-making process must comply with both sides' interests such as investment amount and repayment due, etc. Without clearing such issues, the government finances projects and the private sector implements them until they both can't continue any further, because of unresolved issues. So transparency in every stage is important for the development of this kind of partnership. The establishment of the Ulaanbaatar City Chamber of Commerce has sparked some speculation that it will compete or go against the operations of the Mongolian National Chamber of Commerce and Industry. What is your opinion on that? The goal and scope of both chambers are different. According to Commerce and Industry law, the city can establish its own chamber. In doing so, it should operate independently. Secondly, the decisions are limited to within Ulaanbaatar. The city chamber will not be involved in activities run by the National Chamber. But of course, both chambers will support each other and cooperate if necessary. There should be no conflicts or battles. The city chamber was established with the intention to protect the private sector, to convey their thoughts and opinions, and to cooperate effectively with the public sector. Up to 70 percent of Mongolia's businesses are run in the capital. For that reason, it is obvious that the city should have a chamber of commerce. How should Mongolia go about becoming an exporting country? There isn't much to export in Mongolia at the moment. This is because high technology isn't introduced and developed. For this to happen, foreign investment is crucial. The recently signed economic cooperation deal between Japan and Mongolia is a great opportunity to import high technology to Mongolia. Mining is definitely the biggest export sector in the country. No doubt. However, only raw mining products are exported. Value-added end products are still not produced because we lack the technology. Wool and cashmere are exported. However, the majority of the products, still small to international market, are delivered to China. Vodka exports have performed better than others. Foreigners are interested in Mongolian vodkas. But few deals are being made. Other than that, the offering market is limited. Export must be supported with investment. The taxation basis needs to be broadened. But taxing should not be a priority. Its indirect effects must be increased. World renowned economist Hans Werner Zinn said in an interview with Mongolian Economy magazine during his visit to Mongolia that the country should develop its internal economy instead of rushing to export. Would you agree with his comments? We can't start all at once. We don't have the capability. In my opinion, Mongolia has no other option that leaning on its mineral reserves. But it should transfer to more productive mining rather than transport based mining. Also, besides focusing on coal and iron, the policies must include rare earth material, gold, and copper. Doing so will enable savings possibilities. And with the accumulated money, the government should develop the health and education sectors, which are often regarded here as spending sectors rather than profitable ones. There are countries such as Australia, Thailand and South Korea where these sectors have become one of the main sources of income. Mongolia must convert its natural wealth to intellectual wealth. In that process, the country needs to introduce a high tech industry. The basic requirements for these changes must be a stable and certain taxation and legal environment. May 7 (Mongolian Economy) It's been two years since the city administration began to implement the ger district redevelopment program to resolve the issues facing city, such as traffic congestion and air pollution. Last year, some 500 residential apartments were put into operation under this project along, and this year project proponents are estimating that 2,500 more will be completed. Currently, 34 companies are participating as project proponents. The Head of the Office for Ger District Redevelopment, Sh.Gankhuyag, said that these companies are selected by a vote by the residents. As the first redevelopment buildings are being put into operation, the citizens' expectation to clear their lands and move into new apartments have significantly intensified. As such, there are a number of entities wishing to participate as project proponents. We talked with representatives of companies already participating as project proponents and companies willing to partake. -Our company has received the land permission on 2,980 square metres of land where 18 ger plots used to be in Songinokhairkhan district from the district administration. Now we want to involve this land in the redevelopment project. Currently, the deal is undergoing negotiations. We have already agreed with the investors. As for construction companies, complications arise when negotiating with residents on transferring their land. People wouldn't want to transfer and clear their land in exchange for a studio apartment; the majority of them want to trade their land for apartments with at least 45 square metres of space. -Our company is implementing a project on 4.5 hectares of land in khoroo 2 in Dari Erkh areas. A total of 67 households reside in this location. During the project process, a 461-household apartment complex will be built. About 40 residents who have cleared their lands requested private residential houses to be built on their lands. We will resettle the residents and clear the lands in the first phase of the project. Currently, there are no issues from the residents regarding the land clearing process. We are trying to be as flexible as possible with all parties. As for the project financing, we will come up with a certain portion our own pockets and investors will finance the rest. The construction work will begin on the 20th of this month. Planning and blueprints are in the final stages. Currently, the project value is estimated at MNT 10 billion, but this figure should rise down the road. The city administration is giving support with the housing sales of apartments built under the public-private partnership. -Our company is carrying out a project on a total of 38 hectares of land in khoroo 5, 6 and 7 in Songinokhairkhan district. This is the location where the new municipal building is being constructed. Nearly 5,000 apartments, offices, shopping centres, schools, kindergartens and hospitals will be built in this district in accordance with the general plan. Last fall, a 168-household apartment with a service business area was completed under the project. This year, construction work has started on five housing projects totalling 320 households. This is a huge project worth USD 200 million. The construction alone will take five to six years. There are a number of issues such as the legal environment, access to infrastructure, and investment and market conditions. It is necessary to cooperate with the investors to complete the project in a proper time frame. However, investors require government guarantees and collateral in order to cooperate. May 7 (gogo.mn) Benjamin NG, Regional Director for Asia-Pacific of the CISAC, the International Confederation of Societies of Authors and Composers – the world's leading network of authors' societies (also referred to as Collective Management Organisations, or CMOs) has paid two day visit to Mongolia. During his stay we had a privilege to have an exclusive interview with him. With 230 member societies in 120 countries, CISAC represent more than 3 million creators from all geographic areas and all artistic repertoires; music, audiovisual, drama, literature and visual arts. CISAC works to protect the rights and promote the interests of creators worldwide, which enable collective management organisations to seamlessly represent creators across the globe and ensure that royalties flow to authors for the use of their works anywhere in the world. To this end, CISAC provides the highest business, legal, and IT standards to protect creators' rights and to support the development of the international network of collective management societies. Our interview touched upon the issues of the copyright and the legal representation of the authors and composers within Mongolian music market as well as around the world. ULAANBAATAR, May 6 (AmCham Mongolia) – The Board of Directors of the American Chamber of Commerce (AmCham) in Mongolia announces that Ms. Tricia Turbold has been selected as its Executive Director, effective immediately. Tricia, who served as AmCham's Director of Communications and Membership for the past year, has been residing in Mongolia for nearly three years. Prior to moving to Mongolia Tricia worked as an Operations Manager at Memorial Sloan-Kettering Cancer Center, a world-class healthcare facility, in New York, NY. Tricia studied at Radford University in the United States and holds a Masters of Science degree in Corporate and Professional Communication. "I am honored to be appointed as Executive Director of AmCham Mongolia and I look forward to this new endeavor. AmCham's members are among the very best companies working in Mongolia today and my focus will be ensuring that they get the most out of their membership in AmCham," said Tricia following today's announcement. "I am excited to lead such a strong and impactful organization," she concluded. Jackson Cox, Chairman of the AmCham Mongolia Board of Directors also commented, "our decision to select Tricia as Executive Director is a clear indication of our strong commitment to develop AmCham into the leading business organization in Mongolia. AmCham is deeply committed to serving its members by delivering excellent services led by its wonderful staff. We are pleased that Tricia is stepping into this role and we anticipate that AmCham's mission to promote commerce between the United States and Mongolia and to improve Mongolia's business environment will be advanced under her leadership." May 6 (InfoMongolia) The "Hi-Fi Records" music chain store has released the Top 10 bestselling albums on monthly basis and the Top Albums most sold in April 2015 was led by "The Lemons III" by "Lemons" group. The Lemon's third album launched on April 04 features 10 songs such as "Khar Khereenii Duuli" and "Ulaan Khot". May 5 (infomongolia.com) The regular Cabinet meeting was held on May 04, 2015, and one of the issues resolved was to sign a financial agreement between the Government of Mongolia and the Asian Development Bank (ADB). At the meeting it was agreed to ink the Agreement on "First Phase Project on Development and Investment in Mongolia's Sustainable Urban Transport Program" and representing the Government, Finance Minister J.Erdenebat is authorized to sign the document. In the scope of Project, big-scale infrastructure and construction projects were agreed in 2012 to be financed and resolved under general investment and regulation. The First Phase Project of 59.9 million USD will be financed by the ADB loan and counterpart funds from Municipal Government of Ulaanbaatar, whereas World Environmental Organization will provide 1.5 million USD grant aid and the Government of Mongolia plans to allocate 17 million USD funding respectively. May 7 (gogo.mn) In 2015, roads at 14 loaded locations will be repaired with MNT 96 billion. 44.62 km road and 453 meters long bridge will be constructed newly and 37.65 km road and 134 meters long bridge are planned to be renewed and expanded. "Road construction work is to begin on May 15 and the preparation was ensured," reported by Head of the UB city Road Department D.Nanzaddorj. This year, the biggest construction in road sector will be done and roads with increased traffic load are planned to be repaired and renewed. "Repair works at roads with increased traffic load locations are planned to reduce the traffic and regulation of the traffic will be done partially. Information on regulation of the traffic will be reported at the time through the media." said Head of Traffic Police Department, colonel Ch.Jargalsaikhan. May 4 (news.mn) The third phase of land privatization measures are being carried out online for Ulaanbaatar residents in accordance with the Ulaanbaatar Representatives Khural Resolution 10/39 from 2013. The first stage of land privatization which was organized in 2014, and the second stage was carried out in January 2015. So far, 24,766 citizen residents of the capital have claimed land. Online registration is available at www.ulaanbaatar.mn and www.umch.ub.gov.mn. May 4 (infomongolia.com) Commemorating the 20th anniversary of sister-city relations between Ulaanbaatar and Seoul, Mongolian delegation led by Governor of Capital City and Mayor of Ulaanbaatar, Mr. Erdene BAT-UUL has conducted a visit to Seoul, South Korea from May 01, 2015. On the first day of his visit, Mayor of Ulaanbaatar held a bilateral meeting with his counterpart, Mayor of Seoul, Mr. Park Won-soon and during the meeting, parties inked a Memorandum of Understanding on cooperation in four sectors. The sides agreed to collaborate and enhance cooperation in city development, e-governance, tourism and environment. Also, following the signing ceremony, the Mayor of Seoul named the UB Mayor E.Bat-Uul as an Honorary Citizen of Seoul by handing a Certificate and expressed his satisfaction noting that the Seoul of 10 million citizens would closely partner with Ulaanbaatar. May 7 (infomongolia.com) On May 05-06, 2015, the Governor of Capital City and Mayor of Ulaanbaatar, Mr. Erdene BAT-UUL paid an official visit to Italy upon an invitation of his counterpart the Mayor of Rome Mr. Ignazio Marino. In the scope of his visit, Mayor E.Bat-Uul held a bilateral talk with the President of Rome City's Commission on Tourism and International Relations, Valentina Grippo, where the sides exchanged views on broadening mutual tourism sector and agreed to set up Mongolian Tourist Center in Rome and Italian Tourist Center in Ulaanbaatar respectively. Also, Mongolian delegates attended the Mongolia-Italy Business Forum, where over 50 representatives of Italian entities were present and the Forum was attended by Director General for Political and Security Affairs (Political Director) at the Ministry of Foreign Affairs, Luca Giansanti; Chief Staff of the Department of Culture, Rome Administration, Dr. Mario de Facqz; Head of International Promotion of Tourism. Dr. Patrizia Tanzi; Ambassador Extraordinary and Plenipotentiary of Mongolia to the Italian Republic, Mr. Shijeekhuu ODONBAATAR, and President of Italian-Mongolian Chamber of Commerce, Dr. Michele De Gasperis. At the end of the Forum, President Italian-Mongolian Chamber of Commerce Mr. Michele De Gasperis gave a speech on "Social, Economic and Cultural Relations between Italy and Mongolia in 2015". On May 06, 2015, the Mayors of Rome and Ulaanbaatar held first official meeting at Capitol Hill to discuss the future development of tourism and cultural programs that will involve the respective capitals and that will further strengthen the relations and cooperation between Italy and Mongolia. Bilateral relations between the two countries began in 1961, when Italy voted in favor of the admission of Mongolia to the United Nations, and formalized in 1970 with the establishment of diplomatic relations set on June 29, 1970. Since then Italy has taken several actions in favor of Mongolia by providing support for democracy, investment in the economic and cultural presence. May 6 (gogo.mn) The Deputy Head of Roads, Transportation and Infrastructure of the City Governor N.Gantumur received Ambassador Extraordinary and Plenipotentiary from Belarus in Mongolia, Stanilav Chyepurnoi, Chairman of the Mongolia-Belarus Intergovernmental Commission A.S.Ogorodnikov and other officials. During the meeting, cooperation outlook and other issues of cooperation were discussed in scope of agreement on supplying 20 buses to needs of UB city which is being implemented by "MAZ" JCS under the Ministry of Industry of Belarus. At the beginning of the meeting, Chairman of the Mongolia-Belarus Intergovernmental Commission A.S.Ogorodnikov said: "MAZ" JCS under the Ministry of Industry of Belarus has won an international tender for the renewal of Ulaanbaatar city`s transportation services and it is to supply 20 large-scale buses. Currently, they are assembling the buses and it will be finished soon. Moreover, they are working on technical services issues. When supplying the large-scale buses, experts from "MAZ" JCS are to arrive in UB to research on bus routes, train the drivers, monitor the operation of first days and to come up with guidelines." In addition, he wanted to take support from City Governor on the further development of cooperation between the two countries and proposed to become brother cities with friendly relation. The Deputy Head of Roads, Transportation and Infrastructure of the City Governor N.Gantumur said: "We hope that 20 buses will be supplied to UB city on time as 1st of June and we planned our work according to this schedule. I want you to focus on that issue. Moreover, I will deliver your proposal to the City Governor and will show support." Ulaanbaatar, May 6 (MONTSAME) A Deputy Mayor of Ulaanbaatar city in charge of financial and economic affairs N.Bataa Wednesday received a delegation headed by Mr David Arnold, the president of the Asia Foundation (AF). They have exchanged views on ongoing programs implemented by Ulaanbaatar and the AF and on the further cooperation. Mr Bataa expressed a satisfaction with the implementation of the three projects and with widening of the bilateral cooperation, and then underlined that new cadastres of ger areas have been modified in 153 khoroos (smallest administrative unit) of nine districts with civil participation within one of the AF's projects. "It has been really highly spoken by UB inhabitants," he emphasized. The Deputy Mayor also highlighted that there was a big role in working out an economic developmental strategy of Ulaanbaatar. In addition to it, the Ulaanbaatar administration is formulating a program on combating corruption together with the AF, he added. In turn, Mr Arnold emphasized an importance of working out an advanced action plan for realizing the economic developmental strategy of UB. Then he expressed a willingness to collaborate with UB in expanding the UB Business Forum and the Development Corporation of UB. May 6 (news.mn) At the 10th high-level Asia Europe Meeting (ASEM) Summit held last October in Milan, Italy, it was decided that Mongolia would be hosting the 11th meeting in Ulaanbaatar, in 2016. Mongolia sees this meeting as a very important event and is putting great importance on its organization. The national council overseeing its organization is being headed by the Prime Minister. The council held a nationwide competition for the design of the ASEM 11 emblem design and received 35 submissions from 22 participants. The selected emblem will be used to represent the ASEM Summit and 10 sub-meetings. It will be used for the dissemination of information across Mongolia regarding ASEM and advertisement of preparations for the meeting. An official website for the 11th Asia Europe Meeting Summit has been launched and can be accessed at www.asem11.mn. May 7 (infomongolia.com) Mongolian delegates headed by the President of Mongolia, Ts.Elbegdorj are conducting a working visit to the Russian Federation to participate the Moscow Victory Day Parade, which has commenced from May 06, 2015. The visit started with a meeting of Mongolian students in Moscow and attending an inauguration ceremony of the Monument of Mongol Horses brought from Mongolia namely "Horses Aspiring for Victory" as a present of the people of Mongolia to the Russian nation commemorating the Victory in the Great Patriotic War as well as depicting Mongolia's participation and its role. Following the attendance, the head of state accompanied with the Minister of Foreign Affairs L.Purevsuren, Chief of Staff of the President's Office P.Tsagaan and Ambassador Extraordinary and Plenipotentiary of Mongolia to the Russian Federation Sh.Altangerel headed for Victory Park on Poklonnaya Gora (Поклонная Гора) and laid wreathes to the Monument of Soviet Soldier. During the tour in the Victory Park, President Ts.Elbegdorj visited the Central Museum of the Great Patriotic War and presented a model of the "Horses Aspiring for Victory" Monument. The museum was opened in 1986 and holds about 50 thousand exhibits related to military history and war as well as a Mongolian corner showing dioramas depicting major battles, photographs of wartime activities, weapons and munitions, uniforms, awards, newsreels, letters from the battlefront, and model aircraft are also displayed. Today on May 07, President of Mongolia is planned to meet the Minister of Natural Resources and Environment of the Russian Federation Sergey Donskoi and Chairman of the Board of the Eurasian Economic Commission Viktor Khristenko respectively. Moreover, the President Ts.Elbegdorj will hold a bilateral meeting with the President of the Russian Federation V.V.Putin. MOSCOW, May 7. /TASS/. Mongolia expects to sign a medium-term program of developing strategic partnership with Russia on the sidelines of a summit of the Shanghai Cooperation Organization (SCO) in Ufa in the Urals in July, Mongolian President Tsakhiagiin Elbegdorj said on Thursday. In an exclusive interview with TASS news agency, the Mongolian president said he would meet with Russian President Vladimir Putin on Thursday to discuss "specific agreements, which we hope to sign at the SCO summit in Ufa." "Our relations with Russia at the current stage can be characterized as strategic partnership. We'll discuss how to strengthen this strategic partnership," the Mongolian president said. "We have prepared a document - a medium-term program of the development of strategic partnership. On our part, everything has been approved and now the support of the Russian side is needed. Probably, during the Ufa meeting, we'll sign it," the Mongolian leader said. "And during a meeting with Vladimir Putin, we'll specify some issues related to economic and infrastructural development," he said. May 5 (news.mn) This year is the 70th anniversary of the end of World War II and the liberation of eastern China from Japanese rule. Mongolian Cavalry Divisions 5, 6, 7, and 8, mechanized armored brigade No.7, special tank division No.3, special division of the 3rd artillery, special division of the coalition forces, and mounted division No.9 were all part of WW II military actions. A total of 21,384 Mongolian soldiers participated in WWII and took part in battles that contributed to victory. Mongolia participated in what is known in the region as "The War of Liberation" in 1945, in the final stages of World War II, marking the end of the conflict on the Asian continent. Mongolia declared its independence to the world at the culmination of these events, giving the 70th anniversary particular importance for Mongolia. May 7 (infomongolia.com) On May 10-13, 2015, the head of state of the Republic of Bulgaria, Rosen Asenov Plevneliev is paying a state visit to Mongolia, which is significant to co-celebrate the 65th anniversary of the establishment of diplomatic relations between the two countries. In frames of the visit, the President of Bulgaria Rosen Plevneliev will be holding a bilateral meeting with his counterpart Ts.Elbegdorj and to have meetings with the Speaker of the State Great Khural (Parliament) Z.Enkhbold and Premier Ch.Saikhanbileg respectively. During the Presidential visit, it is expected to sign cooperation agreements in agriculture, education, science and press media as well as to host Mongolia-Bulgaria Business Forum. Mongolia and the Republic of Bulgaria are established the diplomatic relations on April 22, 1950. New Delhi, May 6 (ANI) Prime Minister Narendra Modi on Wednesday termed Mongolia as India`s `spiritual friend`, adding that shared values of democracy and Buddhism bind the two countries. The Prime Minister took to twitter to share his views. "Honoured to get the opportunity to address the Great Khural on 17th May. I reassure India`s continued support in all areas to Mongolia," he posted. "Democracy and Buddhism bind India with Mongolia - our spiritual friend. Looking forward to more trade and investment ties with Mongolia," he added. "Glad to visit Mongolia on 17th May to commemorate 60th year of our diplomatic relations and the silver jubilee of Mongolia`s democracy," he further wrote. In addition, the Prime Minister also posted his message his Mongolian in the Cyrillic script. Prime Minister Modi`s visit to Mongolia will be the second leg of his six-day, three nation tour, which also includes visits to China and South Korea. India was the first country outside the Socialist bloc to establish diplomatic relations with Mongolia. India supported Mongolia in having UN and NAM memberships. The year 2015 marks the 60th anniversary of the establishment of diplomatic relations between New Delhi and Ulan Bator. New Delhi, May 4 (The Telegraph, India) When Prime Minister Narendra Modi flies to Ulan Bator next week, he will carry with him an unlikely gift from a government that has made Hindi a linguistic priority: the promise of an English-medium school. Mongolia has requested India to help set up a secondary school in its capital to feed the growing demand for English in a country where Russian and Chinese were for decades the only major foreign languages learned by the local population. India has agreed to commit to the school during Modi's trip among multiple soft diplomacy initiatives that New Delhi hopes will help it unlock Mongolia's massive mineral resources, including uranium, and send China a quiet signal. "This is a truly historic visit and the promise will demonstrate the potential of this relationship," Sanjaasuren Bayara, Mongolia's ambassador to India, told The Telegraph. "There is massive respect in Mongolia for India's education system." Modi will be the first Indian Prime Minister to visit Mongolia. He will arrive in Ulan Bator on May 16 from Shanghai and will leave the next day for Seoul, the third leg of his three-nation East Asia trip. In Ulan Bator, Modi will hold talks with Mongolian President Tsakhiagiin Elbegdorj - the country's most prominent post-communist leader -- and Prime Minister Chimediin Saikhanbileg. For India, the visit is strategically important because Ulan Bator has a relationship with Beijing not very different from the one between New Delhi and other South Asian capitals. In effect, India is quietly signalling payback -- using the discomfort in Mongolia with "Big Brother" China to create strategic space for itself, just as Beijing has tried to use similar sentiments in South Asia against New Delhi. Indian and Mongolian negotiators are working on an agreement to try and elevate their relationship to the status of a "strategic partnership" during Modi's trip, officials from the two nations independently told this newspaper. Mongolia, which shed communism for multi-party democracy peacefully in 1990, has in recent years also begun to open up its mineral wealth. This has drawn western companies and diggers in droves even as Ulan Bator fine-tunes its regulatory framework in the sector. Apart from uranium, the country has known deposits of gold, coal, copper, tin, tungsten and molybdenum. Indian and Mongolian defence officers already travel to each other's military schools for training, and this relationship could be expanded during the Prime Minister's visit, officials said. But for Modi to break new ground with Mongolia, he will first need to correct perceptions in Ulan Bator about a relationship his predecessors ignored. Mongolia's top leaders have made multiple India trips: President Elbegdorj in 2009, the then Prime Minister Nambaryn Enkhbayar in 2004, and an earlier President, Natsagiin Bagabandi, in 2001. But just two Indian Presidents -- Pratibha Patil and R. Venkatraman --- and no Prime Ministers have ever visited Mongolia. That's where India is counting on soft diplomacy to break the ice. Modi, officials said, will present Elbegdorj with a sapling of the holy Bodhi tree from Bodh Gaya to signal the centuries-old ties that bind India and a predominantly Buddhist Mongolia. India, during Modi's trip, will also commit medical equipment for cancer treatment in Mongolia. But it is education where Mongolia is primarily looking for Indian help. Enkh Batsaikhan, an MBA student in Pune who is among over 200 Mongolian students currently in India, corroborated the view. "For a country like ours, there's nothing more important right now than modern education that exposes young Mongolians to the world," Batsaikhan said over the phone. "If India can help us with that, Mongolia will remain eternally grateful." Modi will, during his trip, promise to set up a new information technology institute in addition to the Atal Bihari Vajpayee Centre for Excellence in Information and Communication Technology already in Ulan Bator, officials said. The Prime Minister will commit to upgrading an art design school named after former Prime Minister Rajiv Gandhi, also in the Mongolian capital. Yet it is the English-medium secondary school that Mongolia is most looking forward to, the country's ambassador said. Mongolia has already earmarked land for the project, right next to the Rajiv Gandhi design school. The Modi government has trained greater focus on Hindi than its predecessor, even emphasising the language in diplomacy. The foreign ministry has set up a Hindi division for the first time, under joint secretary Mridul Kumar, to promote the use of the language in official work. But the language that interests Mongolia is English, the second most popular foreign language in that country today after Russian, and more in demand than even Chinese. That demand, though, is bumping up against an affordability challenge. Only a clutch of private schools in Mongolia use English as their medium of teaching, catering only to the elite of Mongolian society, ambassador Bayara said. A public school supported by India through funds, teachers and curricula could serve as a template Mongolia can then replicate, he added. "What Mongolians respect most about Indian education is its combination of quality and affordability," Bayara said. "That's what we would like to bring to Mongolia too." May 6 (infomongolia.com) In the frameworks of a state visit of the Prime Minister of India to Mongolia on May 16-18, the Mongolian National Chamber of Commerce and Industry (MNCCI) in collaboration with the Federation of Indian Chambers of Commerce and Industry are organizing a Business Meeting among pharmaceutical industry and hospitals of the two countries. The Business Meeting will be hosted at the Corporate and Convention Center next to MNCCI building at 10:00 am on May 07, 2015, where Indian pharmaceutical industry and medical representatives are to participate that aims to broaden cooperation in the sector. Ulaanbaatar, May 6 (MONTSAME) The Minister of Environment, Green Development and Tourism D.Oyunkhorol MP Wednesday received visiting Mr Shigeo Kitamura, the Japan's vice Minister of Environment. The sides touched upon several issues of the Mongolia-Japan cooperation in the environment sector. In frames of the low-carbon developmental partnership established between the governments of Mongolia and Japan, a document on realizing the Joint Crediting Mechanism (JCM) was signed in January of 2013, and Mongolia is one of the countries to create this mechanism, said Ms Oyunkhorol, and asked the Japanese side to support projects to be implemented within the mechanism. At the meeting, the Minister Ms Oyunkhorol handed to the Japan's Vice Minister a textbook on emission of air pollutants. Published at an order of the Ministry of Environment of Mongolia, this textbook was presented at a policy consultative meeting of the countries' Ministries held in March of this year. A model project of Japan on natural tourism was successfully realized in natural reserved areas of Bulgan and Sukhbaatar aimags between 2012 and 2015, Mr Kitamura noted, hoping that the countries will implement specific projects on developing the eco-tourism. Moreover, the Japan's Vice Minister asked the Minister to upgrade actions of the Freshwater Resource Management Center (FWRMC) which has been established with a non-refundable aid from the Japanese government. This center has been holding training on ecology for adolescents. In addition, Mr Kitamura proposed the Mongolian side to join the Asia Protected Areas Partnership (APAP) which was co-founded by six Asian countries in 2013. The Minister Ms Oyunkhorol expressed thanks to Mr Kitamura for putting forward some valuable ideas, and highlighted that his visit is paid to Mongolia in times of discussing some urgent matters of environment, and then said Mongolia aspires to join the APAP. Ms Oyunkhorol pointed out that Mongolia will carry out actions of the FWRMC in accordance with a management formulated by the Japan International Cooperation Agency (JICA). She added that Mongolia intends to launch the environmental expert exchange program in this year. Following the meeting, a cooperation memorandum between the countries on environment cooperation was signed by Mr M.Khurelsukh, the Mongolia's Vice Minister of Environment, Green Development and Tourism; and his counterpart of Japan Mr Kitamura. President Obama said, "I am pleased to announce that these experienced and committed individuals have decided to serve our country. I look forward to working with them." Jennifer Zimdahl Galt, a career member of the Foreign Service, class of Minister-Counselor, currently serves as Principal Officer at the U.S. Consulate General in Guangzhou, China, a position she has held since 2012. Previously, Ms. Galt served as a Senior Advisor in the Bureau of Public Affairs from 2011 to 2012 and as a Public Affairs Advisor at the U.S. Mission to the North Atlantic Treaty Organization in Brussels, Belgium from 2010 to 2011. From 2008 to 2010, she served as Deputy Director in the Office of Public Diplomacy in the Bureau of East Asian and Pacific Affairs. Ms. Galt also served as a Public Affairs Officer at the U.S. Consulate General in Shanghai, China from 2003 to 2007 and as Assistant Cultural Affairs Officer at the U.S. Embassy in Beijing, China from 2000 to 2003. After joining the Foreign Service in 1988, her early assignments included posts in India, Taiwan, and the former Yugoslavia. Ms. Galt received a B.A. from Colorado College, an M.A. from Johns Hopkins University, and an M.S. from the National Defense University. Ulaanbaatar, May 7 (MONTSAME) Mongolia's Minister of Defense Ts.Tsolmon MP Wednesday held a meeting with his Turkish counterpart Mr Ismet Yilmaz in Istanbul city. Tsolmon noted that the Mongolia-Turkey cooperation in defense has been developing successfully, and touched upon issues of augmenting a quota of Mongolian cadets to study in Turkey and expanding the collaboration in the defense industry. He also asked his colleague to increase a size of assistance to our Armed Forces and to aid Mongolia in renovating an airport of Kharkhorin and developing tourism. In response, Turkey's Defense Minister said it is possible to increase the number of the Mongolian cadets and promised to seek a possibility of adding the assistance for the Mongolian Armed Forces. He recommended that the Mongolian side pass to his side a feasibility study of the Kharkhorin airport's repair. After this meeting, Mr Tsolmon visited an exhibition of international defense industry in Istanbul and met authorities of some companies, which supply military products to Mongolia, and inked together with Turkish Minister the intergovernmental agreement on the cooperation in industrial sector. Present were also B.Batkhishig, the Ambassador Extraordinary and Plenipotentiary of Mongolia to Turkey; E.Monkh-Ochir, the General Consul of Mongolia in Istanbul, and officials of Mongolia's Defense Ministry. Ulaanbaatar, Mongolia, May 3, 2015 (Department of State) I'm delighted to be here with you to celebrate the 2015 World Press Freedom Day. Every year at this time we reflect on the state of press freedom around the world and honor the sacrifices made by journalists who have lost their lives or been threatened or imprisoned for doing their job, for discovering and telling the truth. So, as we thank journalists for their work, we also call on governments to recognize the universal human right to free expression both online and offline. A free press keeps people informed and holds government accountable, and the fact is that we can't govern honestly without it. This is as true today as it has ever been in the past. Now, it's true that much has changed in our global media environment. In many developed democracies, there are fewer daily newspapers. More and more people get their information from social media. But whenever I hear about a journalist who is attacked or threatened or censored somewhere in the world, it reminds me just how important journalism is – if it wasn't important, as a means of giving power to ordinary citizens and curbing the power of governments, no one would go to the trouble of trying to restrain it. In this sense, the death of journalists on the job is proof that the death of journalism – something people in my country ocassionally talk about – is a myth. It is also, of course, a call to action for all countries committed to human rights. At the State Department last week, we launched our annual Free the Press campaign, in which we highlight cases of individual reporters who have been wrongly imprisoned in countries around the world. One of them is Gao Yu, a 71-year-old Chinese journalist; she was arrested last year, coerced into making a televised confession, and sentenced to seven years in jail. In Syria, Mazen Darwish remains imprisoned by the Asad regime for trying to expose the regime's brutal atrocities. In Vietnam, Ta Phong Tan continues to serve a 10-year sentence for unmasking government corruption. In Ethiopia, Reeyot Alemu, was arrested for writing an article critical of the Ethiopian government, and remains in prison under terrorism charges. On Friday, we also invited three journalists who have been censored or detained in their own countries, Russia, Ethiopia and Vietnam, to come to the White House and interview President Obama—because we thought that the best reward you can give to a journalist isn't praise, it's an exclusive interview with the President of the United States. When governments go after journalists, this is how the U.S. responds. We've included more details about these brave journalists on www.HumanRights.gov. And we tweeted about these cases using the hashtag #FreethePress. I encourage all of you to share their stories with your community, be that through retweeting, drafting articles or blogs, or if you must, revert to that old-fashioned mode of communication—simply tell your family and friends. I know that many of you in this room experienced the transition from living in a political system in which freedom of expression was not protected to living in a system that guarantees your power to speak and write according to the dictates of your conscience. Arguably more than many of us in the United States and Europe, you know how important these freedoms are. It's been twenty-five years now since Mongolia held a remarkable, peaceful democratic revolution. In an era that saw so much violence and upheaval, Mongolia provided an example of a swift and nonviolent transition to a government that seeks to listen to its people in order to, as we often say in America, form a more perfect union. As the Assistant Secretary of State for Democracy, Human Rights, and Labor, I wish there were more "Mongolias" in the world. Mongolia has not rested on this significant achievement either. It has used the last 25 years to enact reforms protecting human rights and expanding social and economic opportunities for its citizens. Though there is still much difficult work to be done, the government has been doing what governments are supposed to do: removing restrictions on people to let them live lives of their own choosing according to their abilities. Mongolia has also been recognized as one of the countries leading East Asia to a more democratic and free future. It is an active participant in important multilateral institutions, including the Community of Democracies and the Freedom Online Coalition. It recently chaired the Security Forum of the OSCE, it has been a strong partner of NATO and contributes above and beyond its size to UN Peacekeeping efforts in order to promote peace and security worldwide. We are grateful for Mongolia's participation in those organizations to promote respect for democracy and human rights in the region. I'd like to share with you a quote from a speech by President Elbegdorj [pron: EL-beg-dorj] before the Community of Democracies in 2013: "Mongolia stands ready to share her democratic lessons, achievements and success. We stand open to discuss our mistakes, the ways to correct them and to be studied by others. We are ready for action and engagement. Look at us as a center of democracy education, a life model for challenges and opportunities of freedom." It is important for countries that believe in these issues and share these values to band together. And Mongolia's voice is particularly resonant. You are a democracy wedged between two countries with troubling human rights records and a history of censorship and suppression. You are the first country in Asia to participate in the Freedom Online Coalition. You may be smaller than your neighbors to the north and south, but your willingness to lead on these issues, to stick out your neck, makes Mongolia distinctive in the region. It increases Mongolia's voice in the world. And this, by the way, is good for you, too. It's good for Mongolia's future. You are more likely to attract foreign investment if you have a reputation as a stable country that respects the rule of law. Russia may have resources, strength, a sizable market, but its democratic failings have been felt in a powerful way. A smaller country with similar problems of corruption and abuse of power is simply not going to be able to compete. Your comparative advantage is your reputation. Now, many factors have played a role in the success of Mongolia's democracy, but there's no doubt in my mind that a free media has been front and center. You've also faced a question every young democracy must answer, when it suddenly finds itself with dozens of new publications and TV and radio channels operating with few rules or traditions to guide their actions: how do you protect media freedom while encouraging media responsibility? This is a hard question. I would just leave you with this advice: Every country has good journalism and bad journalism. Every country has truth and falsehood in its media. But the government should not be the one deciding the difference. And the answer to bad journalism is not to put journalists in prison, even if we think a particular story they've published is untrue. Because when governments have the power to do that, they tend to use it against journalists who criticize them – against journalists who are just doing their job. A far better answer is to encourage the media to adopt high standards of its own, and to police them through strong mechanisms of self-regulation. In your 25th year of democracy, the United States is eager to help you think through these challenges and build on your achievements thus far. We thank you for your commitment to democratic freedoms and for your leadership. You've set a powerful example not just in Asia but around the world, and I am certainly not alone in recognizing the value of our partnership. I would like to echo Vice-President Biden's comments when he visited your country in 2011, which still ring true. He said we are "very proud to be considered a 'third neighbor.' And, like any good neighbor should, we'll continue to do our part to support Mongolia's political and economic development." On our panel today, we have Ms. Narajargal (Director of Globe International, NGO devoted to press freedom), MP Temuujin (former Minister of Justice), MP Batchimeg (human rights activist), Mr. Galaid (Director, Confederation of Mongolian Journalists), and Mr. Jargalsaikhan (famous Mongolian political and economic journalist). Thank you for joining us today and sharing your expertise as we examine the relationship between democracy and free speech in Mongolia. Now I'm going to turn the floor over to the excellent panel assembled here today to discuss some of these issues. Please join me in welcoming them. May 5 (U.S. Department of State) Assistant Secretary of State for Democracy, Human Rights and Labor Tom Malinowski, Coordinator for Cyber Issues Chris Painter, and other U.S. government representatives traveled to Ulaanbaatar, Mongolia, for the fifth annual conference of the Freedom Online Coalition. The theme for the 2015 conference, the first to be held in Asia, was "Internet Policy Making – Best Practices for Promoting Online Freedom." While in Mongolia, Assistant Secretary Malinowski and Coordinator Painter met with Coalition member states, civil society, and industry. The United States, along with the Netherlands and eleven other countries, founded the Freedom Online Coalition at an inaugural conference in The Hague in December of 2011, where then-Secretary of State Hillary Clinton gave keynote remarks. Since then, the Coalition has grown to twenty-six members and the annual conference has become the premier, global multilateral event focused on Internet freedom, providing an opportunity for Coalition members and stakeholders to discuss major issues of concern; showcase initiatives; and promoting the virtues of an open Internet. Follow Assistant Secretary Malinowski on Twitter: @Malinowski. For updates on the U.S. Government's human rights work, visit: www.humanrights.gov, or the DRL Twitter account: @State_DRL. Stay up to date on the latest events and news from the State Department's Office of the Coordinator for Cyber Issues on Twitter: @State_Cyber, and Facebook: www.facebook.com/statescci, or visit our website: www.state.gov/s/cyberissues. May 6 (Mongolia Focus) Thanks to support from the Canadian Department of Foreign Affairs, Trade and Development, I've been able to participate in the Freedom Online Coalition conference in Ulaanbaatar. Below, I want to highlight some of the discussions and presentations that were of particular relevance to Mongolia. For a more general sense of discussions at the conference, see #FOC15 on Twitter, or a write-up in the UB Post, or a blogged recap. To my disappointment, the conference seems not to have been covered by any international journalists at all. The conference was hosted at Government House, always a grand, but also quite functional venue. As would befit this kind of international gathering, the conference was opened by a brief greeting by H.E. L Purevsuren, foreign minister. Naturally, FM Purevsuren also mentioned that Mongolia is celebrating 25 years of democracy this year. H.E. Ts Elbegdorj, president of Mongolia, spoke next. Jargal de Facto's Jargal D served as the MC. Kindly, Pres. Elebgdorj, identified this conference as the most exciting conference he has opened. His address was surprisingly long, substantive and sincere, at least to me. Some of the themes he touched on included the rapid transformation of Mongolia, drawing particularly on his herder origins and reminiscing about the role of "communications" in the countryside during the state socialist era (ie ride on horseback to fetch a doctor and better bring a horse for him/her). Changes that he identified in Mongolia included the telecommunications revolution, but also democracy and relative prosperity. At one point, he pulled out a pretty classic "brick" cell phone to illustrate that telecommunications had also developed rapidly and massively. Pres. Elbegdorj also spoke about the Freedom Online Coalition agenda (summed up in my understanding by something like "ensuring that off-line human rights are also enforced/respected/implemented online"). After proclaiming online freedom a human right, he compared attempts by government to control the internet to "global warming", noting also that "democracy is a learning process" and that "people have a right to be suspicious". While Pres Elebgdorj didn't refer to Ts. Bat by name, it seemed to me that he had #FreeBat in mind when he talked about recent challenges to online freedom in Mongolia. I had organized a panel that would focus on a discussion of the threat that defamation lawsuits might pose to journalists and the extent to which this threat might lead to self-censorship. With Trevor Kennedy, Melanie Schweiger and Christina Toeppel, we discussed the personal liability of journalists in traditional media, online, and for citizen journalists across FOC member countries, but also in China, India, Russia, and Thailand as particularly significant examples. Libel or defamation appears in the penal and civic codes of many countries, including FOC members. There is a concerted effort to move these provisions to the civic code, but that has not happened everywhere. The question of personal liability is one that is often highlighted in reporting about the state of media in Mongolia, for example (which led us to this topic in the first place), and it is taken into account by the various indices, but there are several high-ranked countries that have personal liability, Australia being a prominent example. As a general pattern among the FOC members, however, countries that are ranked highly on freedom-of-the-press indices tend not to have personal liability provisions on the book. The other general pattern we saw is that Asian FOC members (Japan, Maldives, Mongolia), but also the other Asian countries we included in our survey (China, India, Thailand) all have personal liability provisions that threaten journalists financially and otherwise. Given that this was the first FOC conference held in the Asia-Pacific region and that some voices in the plenary session called for an expansion of the membership, particularly in underrepresented regions (anywhere but Europe and North America), we thought that this was noteworthy. Lhagva who has been involved in efforts to set up the Media Council of Mongolia, joined the session to talk about media policy in Mongolia. #FreeBat was a touchstone in this discussion, but of course that hasn't been the only case in Mongolia. Last year's attempt to ban a set of "swear words" was another example, as has been the lack of enforcement of some press-related laws. Lhagva expressed his surprise that Mongolia ranks fairly high in various indices of democracy and freedom of the press. Our session was also included in live-blogging by GoGo News Agency. After we concluded the session, we experimented with a wrap-up that was broadcast on Periscope, Twitter's video-broadcasting service. It appears that there were some viewers, but we later could not retrieve the recorded version which only lasts 24hrs on Periscope in any case. My inability to name the broadcast something sensible (other than "Untitled") probably didn't increase the viewership, though the app claimed that 61 viewers watched us live. In a panel on the second day, research organized by the Silk Road Foundation focused on the legal environment for online free speech. Several presentations were quite useful in listing the laws and governmental authorities that are involved in regulating free speech, but it was also clear from the comments at the end of these presentations, that there is a fair bit of frustration in this community about the lack of responsiveness of the government/parliament to continued arguments for changes in the law, and to the mismatch between Mongolia's international commitments and the laws and regulations that govern online communications. Activist Kh Nomingerel was particularly vocal in this regard in her presentation on "The Legal Framework of Freedom of Expression on the Internet". Cover Mongolia's Mogi also participated in the panel discussion. Rather than focus on the more abstract legal aspects, he pointed to the specific implementation of some of these laws as they limit online freedom. He urged listeners to have a look at the Black List of domain names that are blocked in Mongolia, as well as to inform themselves about the FinFisher mention on WikiLeaks. In addition to the topic of online freedom that I arrived at through my interest in digital diplomacy, I was very interested in the FOC conference as a foreign policy tool. Here, the hosting of the conference surely was a success. By being selected and then acting as the host, Mongolia reaffirmed its claim to membership in the club of democracies. Some of its "third neighbours" are quite active and were well-represented at the conference, especially Canada and the United States with delegations from Ottawa and Washington participating respectively. Japanese participation was more limited, and Australia just joined the FOC. Whether or not the calls for alignment between claims to human rights online and democracy, and the actual implementation of internet-related laws detract from the overall hosting of the conference is hard to say, but since most of the "FOC-crowd" is unlikely to have sustained interactions with Mongolia, I suspect that the symbolic impact will far outweigh any doubts visitors might have had about sincerity. Of course, even the symbolic impact will be somewhat limited, as not a single foreign journalist covered the conference and beyond some blogs, little notice has been taken of the event. The domestic press covered the conference extensively. Here, I suspect the impact is more one of the satisfaction at being a viable member in a club of advanced democracies than the attention given to some of the shortcomings in Mongolia's regulations. May 6 (gogo.mn) We interviewed with Director of Center on Democracy, Development, and the Rule of Law, Stanford University, Larry Diamond on the Democracy in Mongolia. For the full interview please see the video below. Ulaanbaatar, May 7 (MONTSAME) The National Cancer Center (NCC), the Khan Bank Foundation and the Mongolian National Broadcaster (MNB) are jointly organizing and expanding the National Campaign against Cancer year on year, currently being organized for the fifth year in order to deliver comprehensive information about healthy lifestyles and cancer disease, and to provide cancer prevention knowledge to the public. The opening ceremony of the national campaign in rural areas was held in Orkhon province on May 5, 2015. Present at the ceremony were G.Shiilegdamba, the Minister of Health and Sport; L.Tumubaatar, the Director of NCC and representative of the campaign implementing organizations; Norihiko Kato, Chief Executive Officer of Khan Bank; M.Oyunchimeg, Director of MM Agency, MNB; Orkhon province Governor's Office; Management of General Hospital, physician specialists; representatives of local residents. The campaign involved 68,300 people receiving free check-ups over the past four years, and has been successfully implemented for the fifth year throughout the country. This year, the campaign will be organized in 12 provinces and 2 soums: Orkhon, Bulgan, Gobisumber, Dornogobi, Omnogobi, Tov, Arkhangai, Ovorkhangai, Sukhbaatar, Gobi-Altai, Uvs, Khovd provinces, as well as Khangai soum in Arkhangai and Zamiin-Uud soum in Dornogobi. The purpose of the campaign is to reduce the late diagnosis of cancer, intensify early screening and diagnosis, train local physician specialists on diagnostic and therapeutic practices, train volunteers and organize activities for delivering information on cancer prevention awareness. The project, which has been impacting positively on people's lives and contributing to the reduction of the cancer morbidity rate since it began, is not only limited to examinations but is also a great experience for local medical professionals and an important health investment in people's lives. NCC, the Khan Bank Foundation which delivers Khan Bank's social responsibility, employees of Khan Bank rural branches, employees of MNB and many other people sincerely and wholeheartedly organize the National Campaign against Cancer as a team. The doctors' team currently working in Orkhon province will work in Bulgan province on May 11-15, 2015. May 7 (gogo.mn) Measles additional dose vaccination is to start on May 15th. The measure is taken in view of the increased outbreak of the disease in Ulaanbaatar city and the rural areas this spring. The vaccination is to cover children aged from 6 months old to 5 year olds for the duration of 10 days. This repeated dose will be administered to all the children no matter if those have received the previous dose. Vaccination will take place at the family health care vaccination centers and for the kindergarteners the vaccination will be administered at their kindergartens. According to the preliminary assessments there are 370,000 children to receive the vaccination. The needed vaccination was ordered through the UNICEF with assistance of the WHO. May 7 (infomongolia.com) In commemoration of Mother's Day, where over 80 countries celebrate on the second Sunday of May, the Save the Children has published the 16th annual "State of the World's Mothers" report with a special focus on our rapidly urbanizing world and the poorest mothers and children, who must struggle to survive despite overall urban progress. This report presents the latest and most extensive analysis to date of health disparities between rich and poor in cities. It finds that in most developing countries, the poorest urban children are at least twice as likely to die as the richest urban children. In some countries, they are 3 to 5 - or even more - times as likely to die. The annual Mothers' Index uses the latest data on women's health, children's health, educational attainment, economic wellbeing and female political participation to rank 179 countries and show where mothers and children fare best and where they face the greatest hardships. In the 2015 State of the World's Mothers Index, Norway, Finland and Iceland top the rankings and the top 10 countries, in general, attain very high scores for mothers' and children's health, educational, economic and political status. In conjunction, Mongolia celebrates the Mothers' and Children's Day annually on June 1st, which is one of seven official public holidays. May 7 (gogo.mn) Doha, Qatar is hosting the The Asian Men's Freestyle Wrestling Championships and Mongolia was represented by eight athletes. E.Bekhbayar wrestled at 57kg category and became The Asian Championship. He won Nadyrbek Uulu from Kyrgyzstan with 4:1 score at the gold medal wrestling. G.Mandakhnaran wrestled at 65 kg category and won bronze medal from The Asian Men's Freestyle Wrestling Championships. He won Azat Mirakhimov with 6-0 score at the bronze medal wrestling. P.Usukhbayar competed at 86 kg category and took bronze medal by wining Muhammad Inam with 10:8 score. Mongolia women's team head coach B.Batbayar competed at 125 kg to ensure that Mongolia qualified the weight for the world championships. B.Batbayar beat Elnur Jichylov with 9-6 score. May 6 (The Guardian) This weekend, while the country was watching the Mayweather v Pacquiao fight, there was another kind of tense, nail-biting competition taking place, this one using brains instead of brawn. Enter the Extreme Memory Tournament, or XMT. Sponsored by and held at the Dart NeuroScience Center in San Diego, the event had some of the world's best mental athletes competing in fast-paced head to head challenges that even the most relaxed spectator would have found nerve-racking. Over one weekend, 24 competitors from seven countries faced each other in more than 45 rounds featuring four-minute sessions that required absolute silence from spectators. They did their best to recall names, numbers, images and cards using the ancient "memory palace" technique, in which unfamiliar words and numbers are linked to familiar mental images ingrained in a person's long-term memory. None, however, took the game as seriously as the mnemonists from Mongolia, the only "team" present at the tournament. Over the course of two days, they sat on one end of the room with a steady supply of Sprite and Cheetos; they were identifiable by their blue T-shirts adorned with logos of sponsors, the Mongolian flag and embroidery that read "Mongolia Memory Team". They looked more Nascar than Extreme Memory, and shook hands with all their competitors, high-fived each other when a round was won, and wore what became trademark homemade visors that blocked out anyone from their periphereral vision during the games. They were a well-oiled Mongolian memory machine, and they meant business. At the helm of the team was Khandsuren Khatanbaatar, who oversaw four memory athletes with large bouts of steady encouragement. "I feel really good," Khatanbaatar said. "We are happy to be here. Some of us are doing good achievements, and some of us not good enough – they are all very good at training, but a competition is very different." Called the "international master of memory" in the Mongolian Press, Khatanbaatar has participated in the World Memory Championship himself, and is the best known mental athlete in his home country. As the director of the Mongolian Intellectual Academy in the capital Ulaanbaatar, he is now training hundreds of children and adults, some as young as kindergarten age, who are interested in flexing their cerebral muscles, using mental calculations, speed readings and Rubix Cube deciphering. The practice has paid off. Organized, consistent and steadfast, Mongolians are a fixture at international memory competitions. Only China boasts more competitors with world rankings. Tsogbadrakh Saikhanbayar, 22, for example, holds the world record for spoken numbers. Having trained for six years, he was Khatanbaatar's first student and has memorized close to 300 of his friends and family's phone numbers. It was his first time at the XMT and he couldn't help but feel excited, despite the challenging days leading up to the tournament. "Between here and my country, there's a 16-hour time difference and it's been really hard. For the last seven days we were memorizing during the nights and sleeping during the days," he said. And then there's Yanjaa Altunsuh, a vivacious 21-year-old Swede of Mongolian descent. Individually, she placed first in the names and faces event by memorizing 185 names in 15 minutes, one short of the world record. She's only been training for a year but she's become a force to be reckoned with, and not just because she is one of the few female memory champions in the field. At the XMT, Altunsuh competed wearing a black floppy hat à la Jennifer Lopez that obscured her view of the audience while covering two sets of noise-blocking devices: headphones on top of securely placed ear plugs. She can't think of anything more gratifying than tournaments like this one. "I've skydived once in Aruba, but honestly, binary digits for 30 minutes is way more fun than skydiving." The Mongolian presence represents an amazing accomplishment for a country that was barely on the scene a few years ago. "In 2012, I went to the world championships and they were barely even there. Over the past few years, they've just kind of exploded," says Nelson Dellis, a four-time USA Memory Champion who founded the tournament after his grandmother was diagnosed with Alzheimer's. Their presence has not gone unnoticed by fellow competitors. Briton Ben Pridmore, 38, who is one of the world's top memory champions, told me: "It's taking off a really big way in Mongolia ... They have a much stronger team spirit than I think the rest of us do, whereas the British people are just a bunch of eccentrics who like to do this kind of thing in their spare time." The XMT competition the Mongolians were facing was pretty steep – there was Simon Reinhard, the reigning XMT Champion who is the world's fastest card memorizer, and Alexander Mullen, one of only two American competitors, who came in second place at last year's USA Memory Championships. Both advanced to the semi-finals before being beaten by German Johannes Mallow, who has the top current Memory Championship record. The Mongolians, however, despite their efforts, weren't able to get past the quarter-finals. Instead, they laid claim to the most exciting moment of the competition, when in a surprise twist, their teammate, 17-year-old first-time competitor Enhkjin Tumur, set a tournament record by recalling 30 images in 14.4 seconds. The team and their supporters – San Diego-based Mongolian Americans who had come for moral support with a Mongolian flag – erupted in applause, punched the air and sprang off their seats to embrace Tumur, who gave a big smile and held his thumb up for several minutes as camera flashes went off around him. "I'm not sure why we're really good, but my teacher says it's because we are Genghis Khan's kids," Tumur said through an interpreter, recalling the founder of the Mongol Empire. Standing next to Tumur, Khataanbar was ecstatic. "Maybe next year, maybe five years later, they will be champions," he said with a smile. 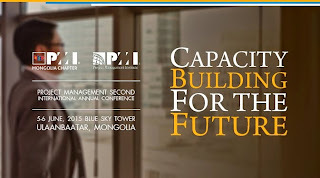 Ulaanbaatar, May 6, 2015 (The Asia Foundation) — This week, The Asia Foundation's President David D. Arnold visited Mongolia on the occasion of the 5th Freedom Online Conference in Ulaanbaatar. As part of the conference, Mr. Arnold moderated the "Internet Freedom Trends in Asia" session. During this visit Mr. Arnold also met with Mongolian officials, Foundation donors and partners, and young Mongolian leaders from private sector, government, and civil societies. He was also interviewed by Bloomberg TV Mongolia. In his opening remarks on the "Internet Freedom Trends in Asia" session, Mr. Arnold highlighted the importance of Asia in terms of its rapidly rising internet usage representing 45% of global internet users, but also highlighted the growing digital divide between and within Asian countries. "Asia's biggest developing democracies account for one-quarter of the world's people, but only about one-tenth of the global online population," said Mr. Arnold. "It is important to recognize the enormous challenges that still exist in terms of making information on the internet available and accessible to people across Asia especially in remote and less developed parts of the region. Bringing people on the same platform is an important first step." Other panelists included: Ross LaJeunesse, Global Head of Free Expression and International Relations at Google; Artem Goryainov, IT Director of the Civil Initiative on Internet Policy in Kyrgyzstan; Jennifer Zhang, Project Manager of the Hong Kong Transparency Report; and H.E. Kees Van Baar, Human Rights Ambassador of the Netherlands. During his time in Mongolia, Mr. Arnold met with H.E. Foreign Minister Lundeg Purevsuren and Mr. Puntsag Tsagaan, Chief of Staff of The Office of the President. He also attended meetings with Ulaanbaatar City Municipality representatives including Vice-Mayor Bataa and Mr. Badral Bold, General Manager and Head of the Mayor's Office of the Ulaanbaatar City Municipality. Mr. Arnold also met with young Mongolian leaders from private sector, government, civil society, and media to discuss their perspectives on Mongolia's current and future state of democracy and economy, as well as the possibilities for young people to shape Mongolia's development. The young leaders highlighted challenges relating to the level of trust in society, citizen awareness of decisions affecting them, and political and educational systems. While recognizing the various challenges in Mongolia today especially for young people, Mr. Arnold noted that "it is important to recognize the remarkable progress and achievements that Mongolia has made in a short timeframe of 25 years and that Mongolia in many ways serves as an example for other countries in Asia." Read more about the Foundation and its work in Mongolia. May 6 (University of California, Santa Cruz) If not for a down-on-his luck Mongolian astronomer with a penchant for drinking, 44 schools in that rugged country might not have telescopes with which to peer into the heavens. It was a chance encounter with that ill-fated astronomer that led UC Santa Cruz grad student Tuguldur Sukhbold from his science-poor country, where he had to build his own telescopes, to the wooded campus in Santa Cruz where he is doing advanced research in astrophysics. And, it was the opportunities he got at UC Santa Cruz, he said, that allowed him to organize a project that, last year, delivered telescopes to 7 percent of the schools in Mongolia so that science-starved kids might be exposed to the wonders of the universe. "A lot of these kids will probably never travel to another country, or even travel to a city," said Tuguldur of a country where horses outnumber people and where science education has lagged in the past 20 years. "Their world view is very limited. But with these telescopes, even if they can't see the world, they can see the universe." Tuguldur, 25, who goes by one name in his country, grew up on the steppes of Mongolia, learning, like many of his compatriots, to ride a horse at the age of 3. By the time he was a teenager he'd moved to the capital city, Ulaanbaatar. "I started looking up into the sky," Tuguldur said. "I began to wonder what it was all about and where did I come from and why was I here. I thought I might get answers from science." The difficulty was that after the collapse of the Soviet Union, which had strong influence and financial ties to the country, Mongolia's educational system took a hit and science was one of the casualties. Tuguldur began building his own telescopes using instructions he found on the Internet. He formed an astronomy club, and he and his friends peered into the heavens. Still, he understood that science was a dead-end job in Mongolia and he prepared to become a lawyer. But that meeting with the ill-starred astronomer changed everything. The scientist had once been part of a project started by the University of Arizona that searched for asteroids from posts around the world. He'd been given a telescope but, one night, the device was struck by lightning and the project came to a halt. Still wearing the worn University of Arizona T-shirt he'd been given by the American scientists, the astronomer told Tuguldur that Arizona was the center of astronomical research and that he should try to go to school there. He got a scholarship, struggled to learn English—although he was fluent in the mathematics required for physics—and got his bachelor's degree. He came to UC Santa Cruz for his advanced degrees because of its faculty and "because it is one of the best places for what I do." Still, his homeland was always on his mind. Tuguldur applied for and won a $6,000 grant from the International Astronomical Union. Together with a friend, Purevdorj Davaa, who is still in Mongolia, they purchased 44 four-and-a-half-inch, F/7.9 Newtonian telescopes from which kids could see craters on the moon, ice caps on Mars, the rings of Saturn, and the moons of Jupiter. Some of the telescopes were delivered to city schools, but many went into the rural steppes where raising livestock—horses, camels, goats, sheep, and cattle—is still the central occupation. "I had this dream that it would be really great to get a lot of money and bring telescopes to Mongolia, especially to the countryside," Tuguldur said. "I thought that would be life-changing. I wanted to share the joy." Besides delivering the telescopes, Tuguldur and his partner also did several teacher trainings on Skype and wrote a manual in Mongolian that showed students how to use a telescope and gave them some basics in astronomy. Next year, he and his friend hope to deliver 50 more telescopes and, one day, start a nonprofit that would press for more science education in the Mongolian curriculum. Said Professor Greg Laughlin, chair of UC Santa Cruz's Astronomy and Astrophysics Department, "Tuguldur has consistently shown the courage, brilliance, and creativity that we here at UC Santa Cruz Astronomy all aspire to. His efforts are pushing forward the frontiers of knowledge, and, at the same time, are uniting people with common interests from across the globe." "I am, in a way, very privileged," Tuguldur said, sitting on a couch in a quiet annex behind the Natural Sciences II building on the UC Santa Cruz campus. "When I look back in my country, I see a lot of people living just to get by, day-by-day. They don't have the luxury of spending time and resources to wonder about science." He wants to change that, one telescope at a time. For more information visit Tuguldur's website or email sukhbold@ucolick.org. May 5 (Washington Post) When the Genghis Khan exhibit opens at Philadelphia's Franklin Institute on May 9, Gankhuyag "Ganna" Natsag expects a special guest to be in attendance — in spirit, not in body. "We believe Genghis Khan is looking at us from the sky," says the Mongolian American artist who has contributed to the traveling show, which runs until Jan. 3, 2016. The Arlington resident, who was profiled in Sunday's Washington Post Magazine, has dedicated his life to spreading Mongolian culture around the world. To achieve this mission, he has used his own artworks (ritual masks, traditional costumes) and ideas (building a World Peace Pagoda in both Mongolia and the Shenandoah area) as teaching tools. But in "Genghis Khan: Bring the Legend to Life," Mongolia's biggest — and boldest — name helps spread the word as well. "Through our show, many people learn about Mongolian culture and will have the right understanding about Genghis Khan and the 13th-century," he said. "Many school kids have also seen our exhibition, and it opened them to world history the true way." The show debuted at the Houston Museum of Natural Science in 2009 and has since appeared at a variety of museums in the United States, Asia and Canada. The six-part exhibit covers topics including the conqueror's childhood, his rise to power and Mongolia today. To illustrate these events, a team of experts, including Ganna and organizer Don Lessem, selected more than 250 items from private and public collections. The Mongol Empire pieces go back as far as 5,000 years and include weapons (a major get: a sword supposedly carried by one of Marco Polo's guards), clothing, jade, ceramics and religious artifacts. They also juiced up the experience with videos and family activities, interactive games that allow visitors to impersonate a spy, a princess or a soldier of the period. "There are many interesting facts that we found and that people can see in our exhibition," said Ganna. They include the Mongols' first use of paper money, their pony postal system and the DNA discovery that more than 16 million people today can call the emperor uncle, cousin or great-great-great-etc.-granddad. Ganna has played a significant role in the planning from the outset, organizing cultural events tied to the exhibit, inviting Mongolian artists to perform and even dancing with his children, and building a wooden horse and warrior and a statue of GK in his studio in the Mongolian capital of Ulaanbaatar. "Because Mongolia has a wonderful history of arts, we could make a wonderful exhibition of Genghis Khan," he said. "It is a good lesson for all of us." April 6 (The Archeology Magzine) The Golden Horde, a group of Mongols who conquered much of Eastern Europe in the thirteenth century, was famously tolerant of foreign religions. Recently, however, archaeologist Zvezdana Dode of the Southern Scientific Center of the Russian Academy of Sciences completed a study of rare textiles that suggests the Mongol attitude to Christianity was sometimes more complex than simple indifference. She examined pieces of fabrics found in Mongol burials that represent Christian subjects but had been repurposed as clothing, such as a hat that depicts an upside-down Jesus flanked by two archangels. She suggests that these fabrics, likely seized from Russian churches, were not merely the spoils of war. "The Mongols were able to observe employment of icons and banners with Christian symbols by the Russian military," says Dode. "It's possible they interpreted these symbols as devices for supernatural warfare." By wearing an inverted Christian motif into battle, a Mongol warrior may have thought he was neutralizing that threat. May 6 (infomongolia.com) On May 05, 2015, the Red Cross Mongolia announces "Help Nepal Now" charity opening a donation account (Khan Bank 5010 027 264) for devastated poor rural communities with hundreds of thousands losing their homes and possessions after the 7.8-magnitude quake, which killed more than 7,000 people and nearly 15,000 others were injured. Thousands of people desperately need food, medicine and shelter, and currently the Red Cross communities around the world donated to the fund for Nepal earthquake victims about 67.8 million USD, but it is not enough and an additional 415 million USD is required within three months, says Red Cross Mongolia Secretary General N.Bolormaa appealing all to join the campaign.